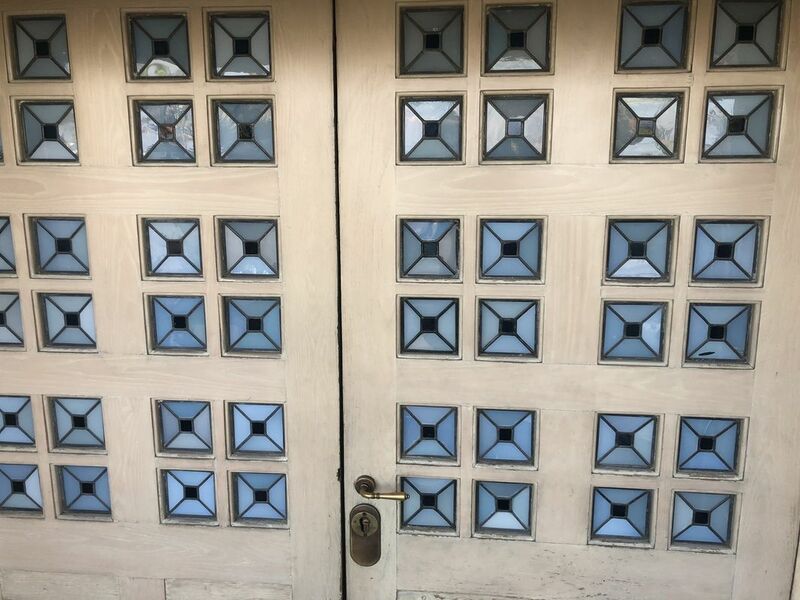 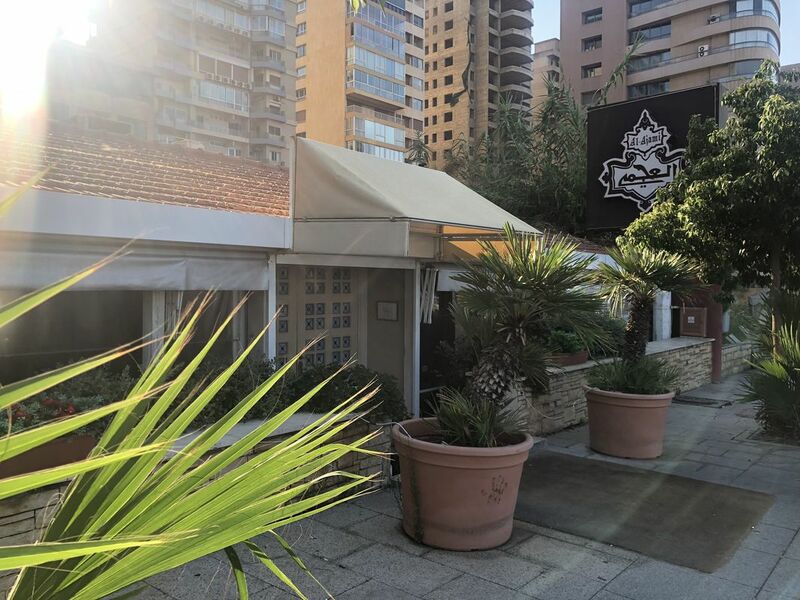 Open for as long as my father remembers, Al Ajami is a traditional restaurant that has moved from the heart of Beirut to Jounieh during the war and now settled in Ramlet el Bayda. 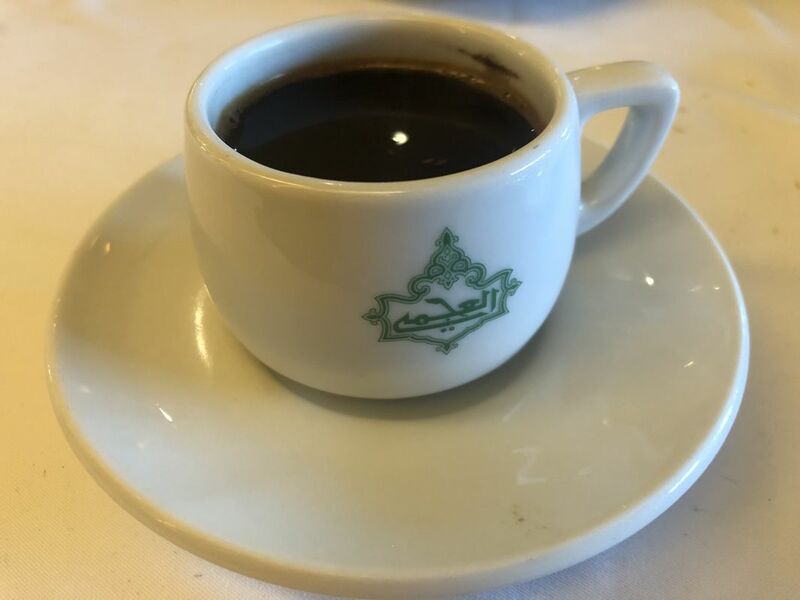 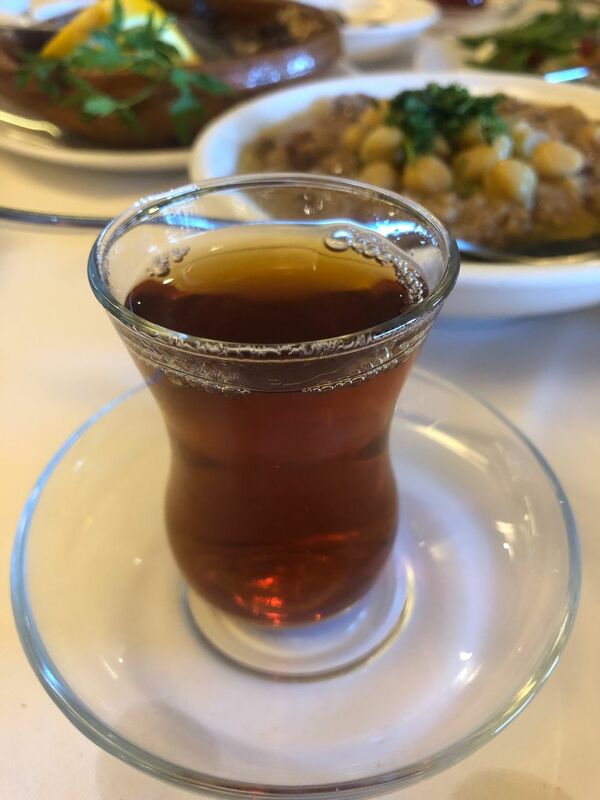 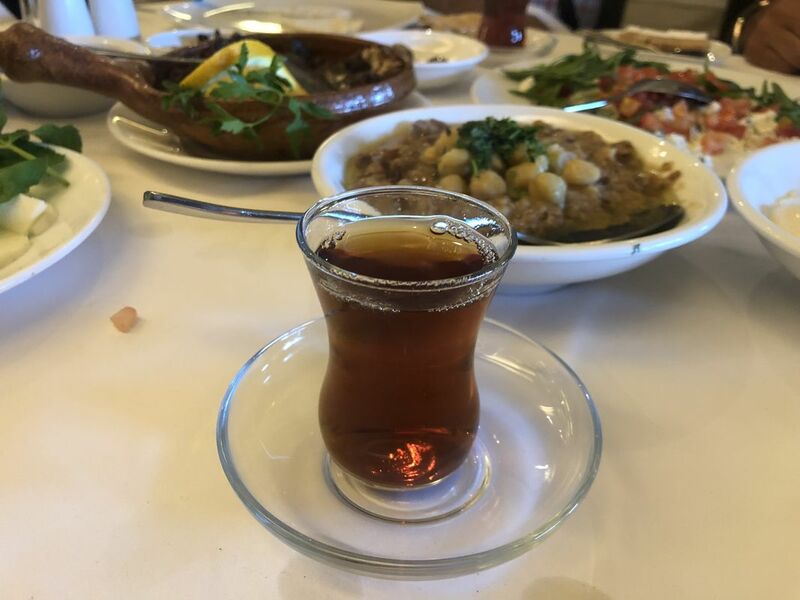 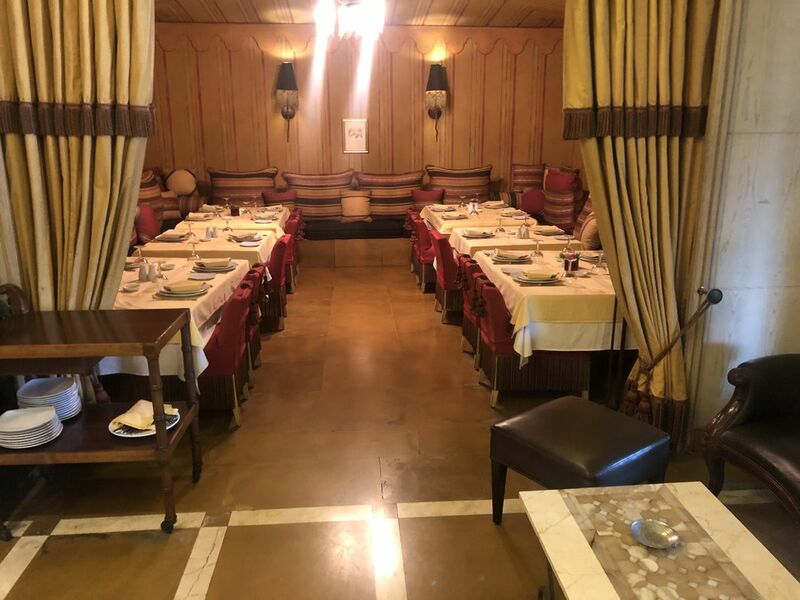 Traditional food, classy decor, and old Lebanese tunes; sit down and relax. 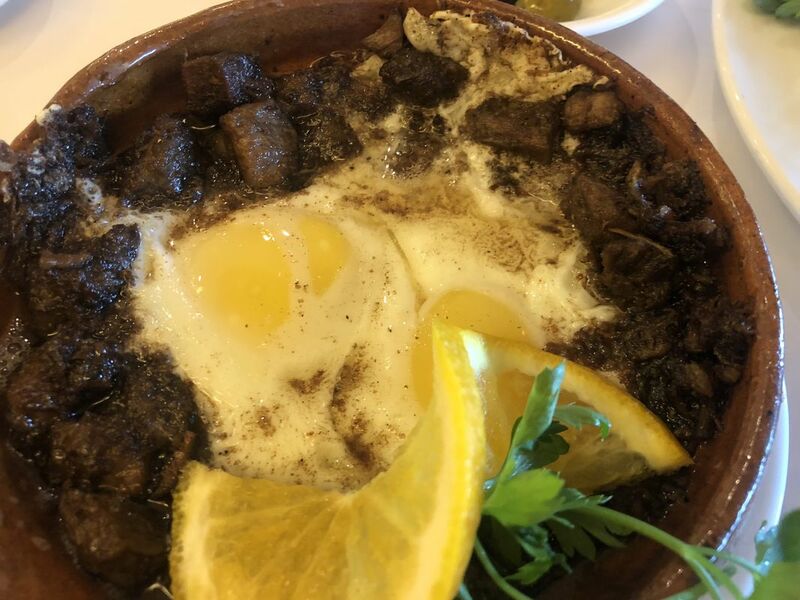 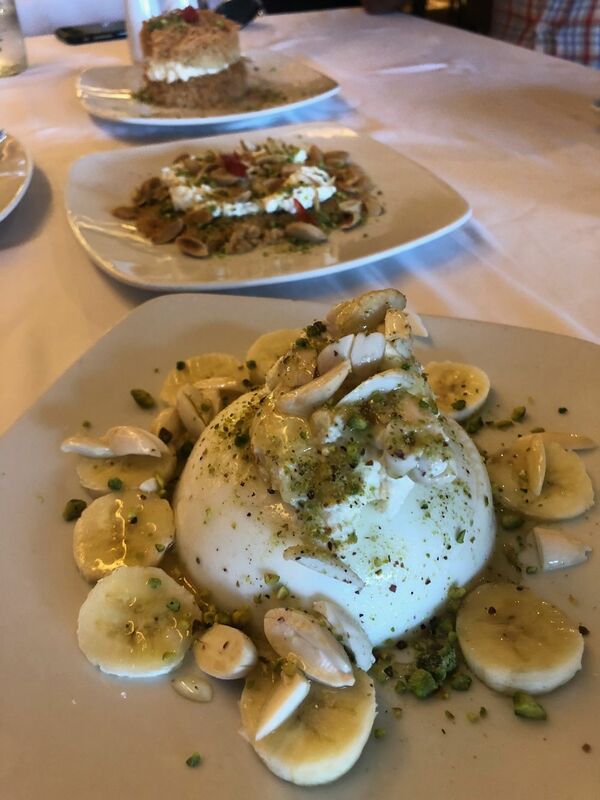 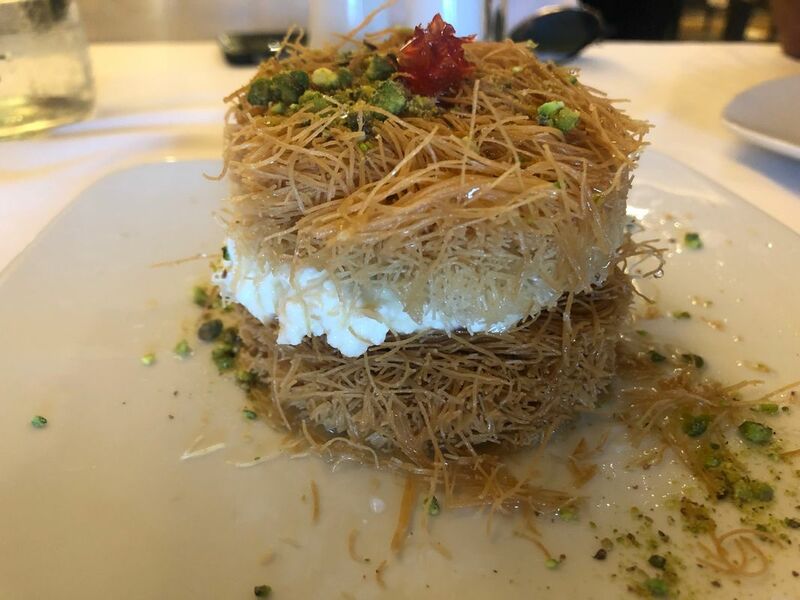 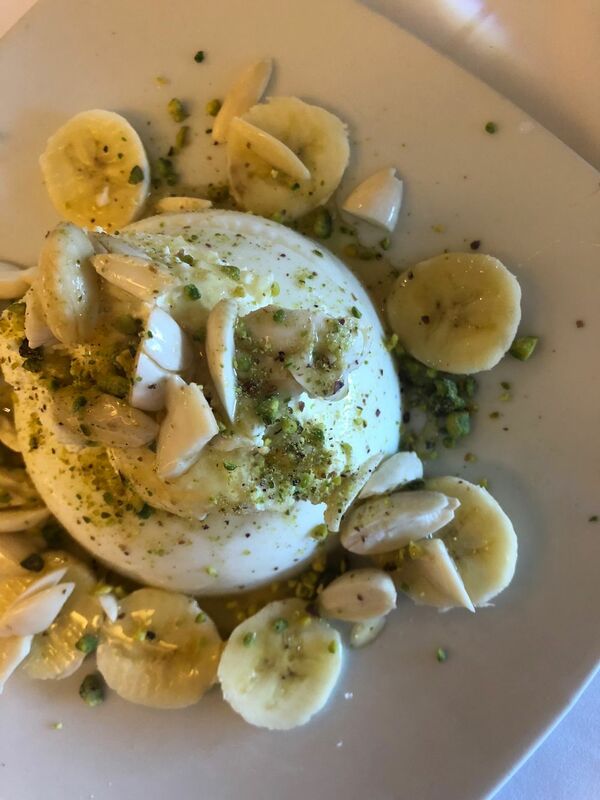 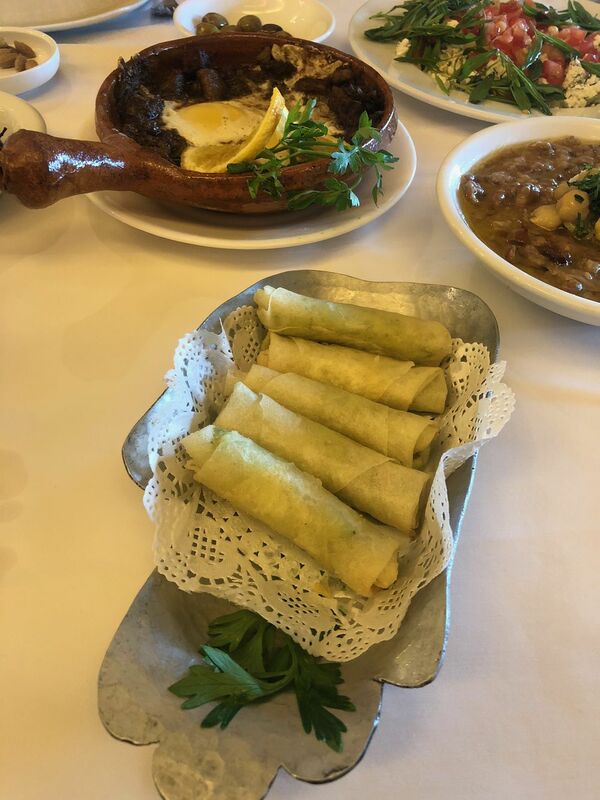 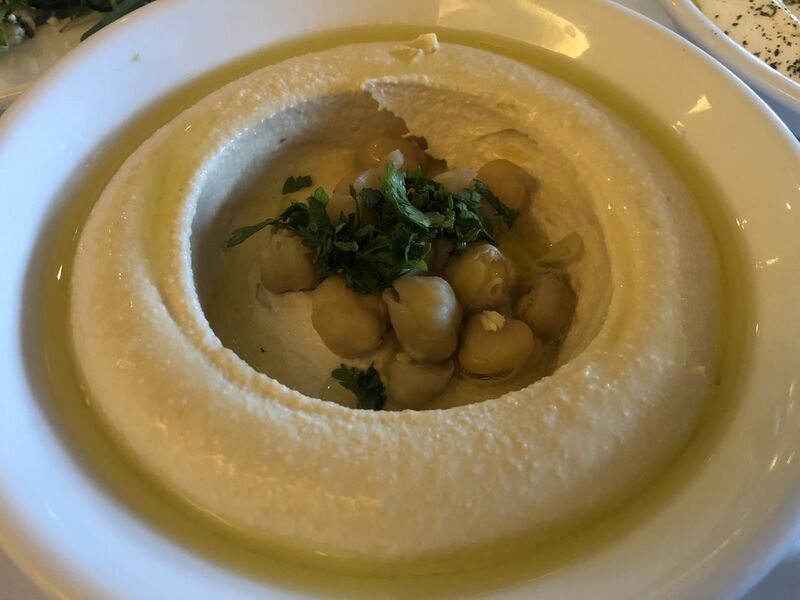 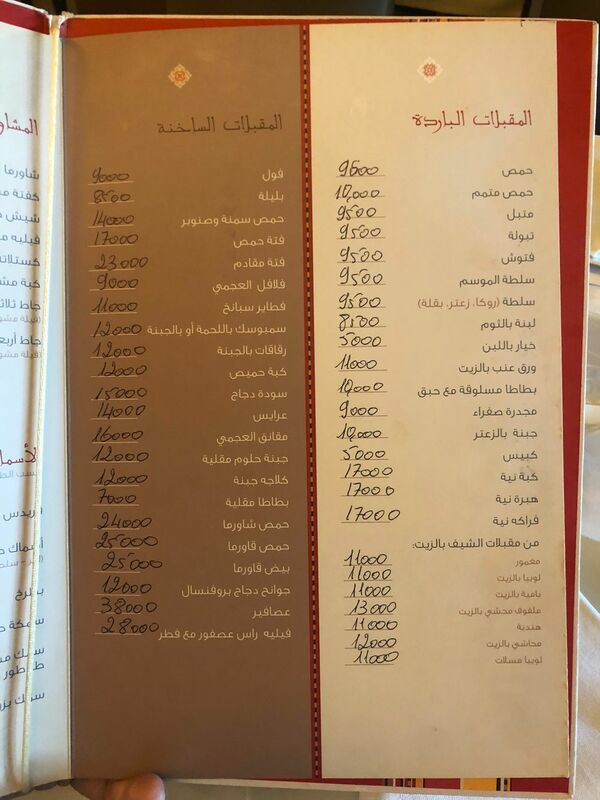 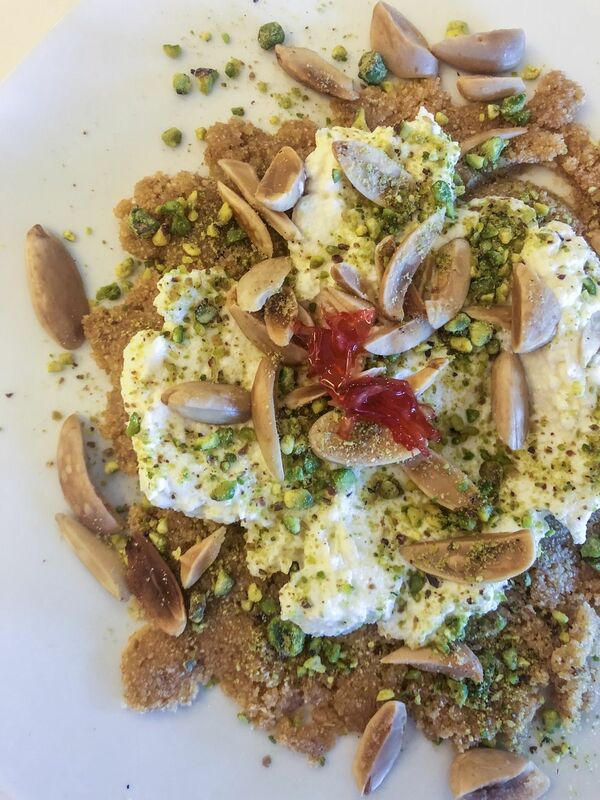 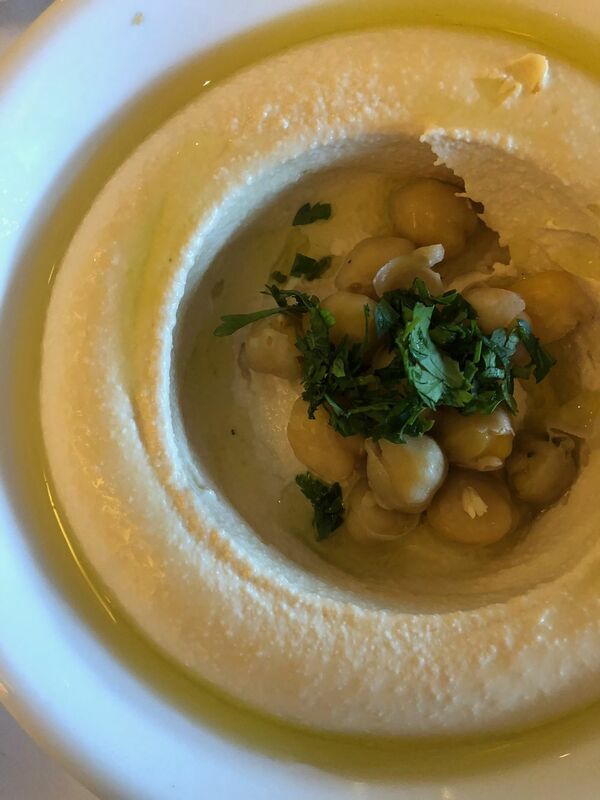 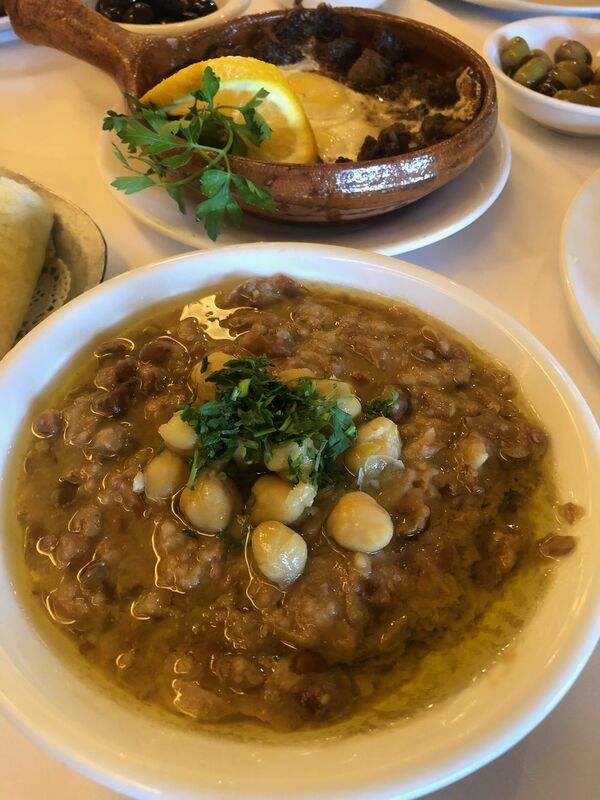 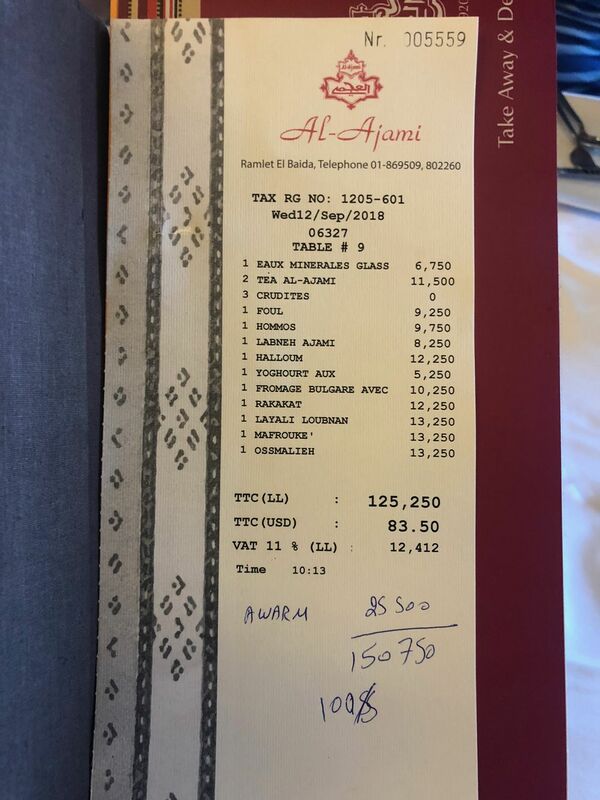 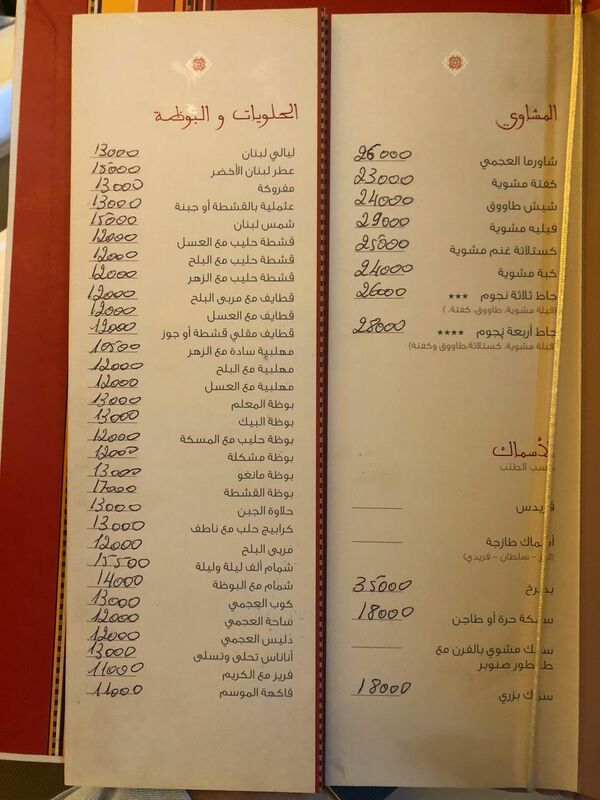 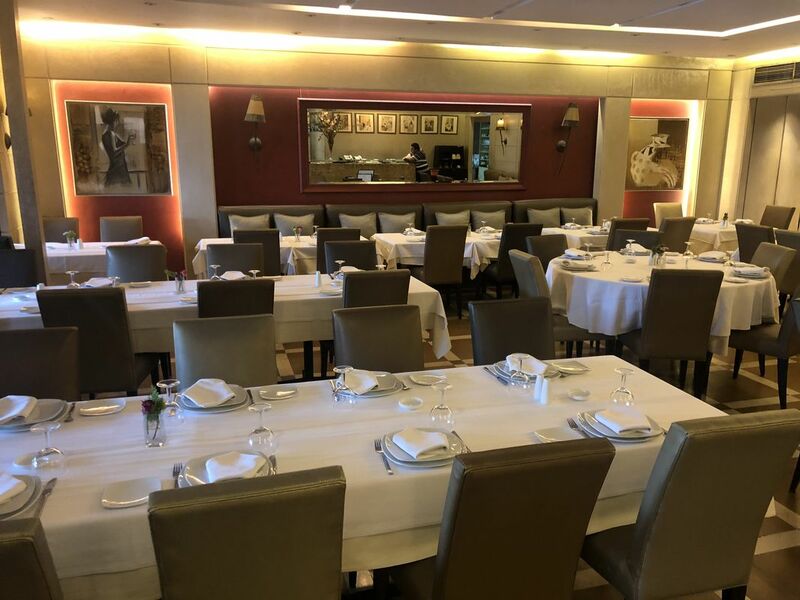 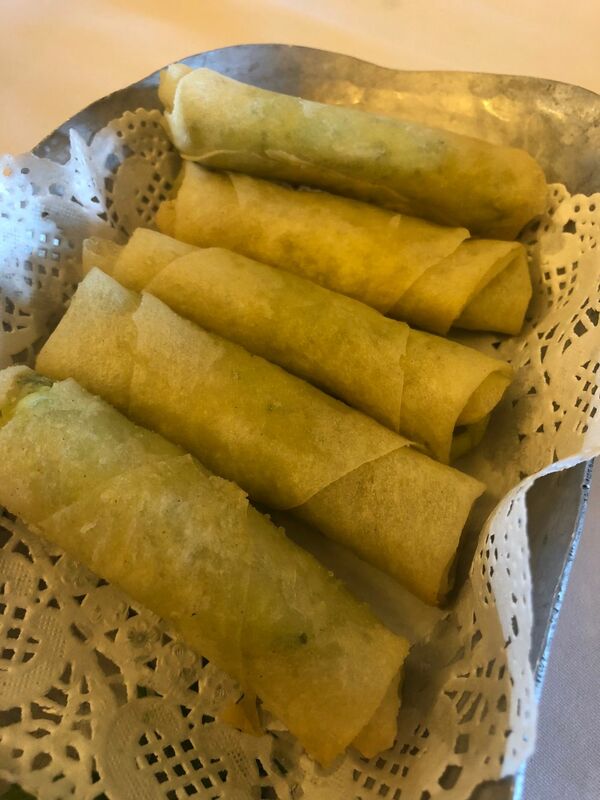 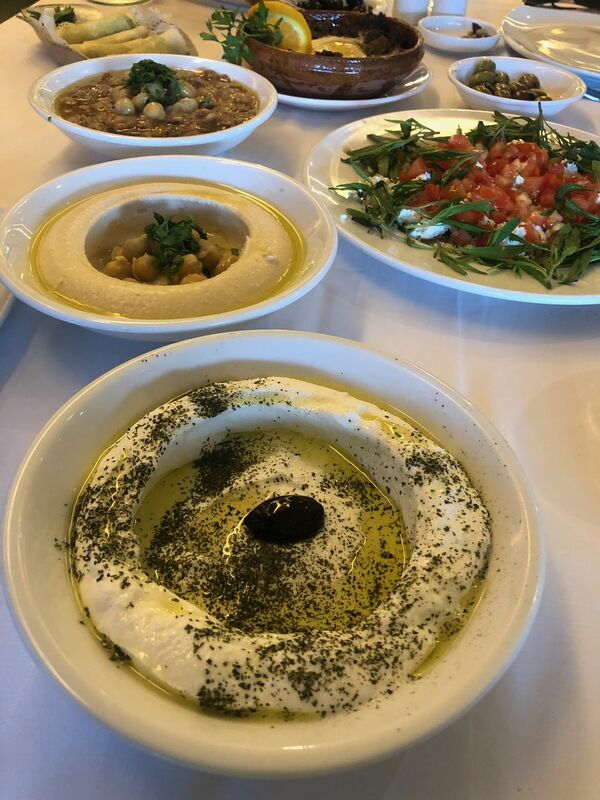 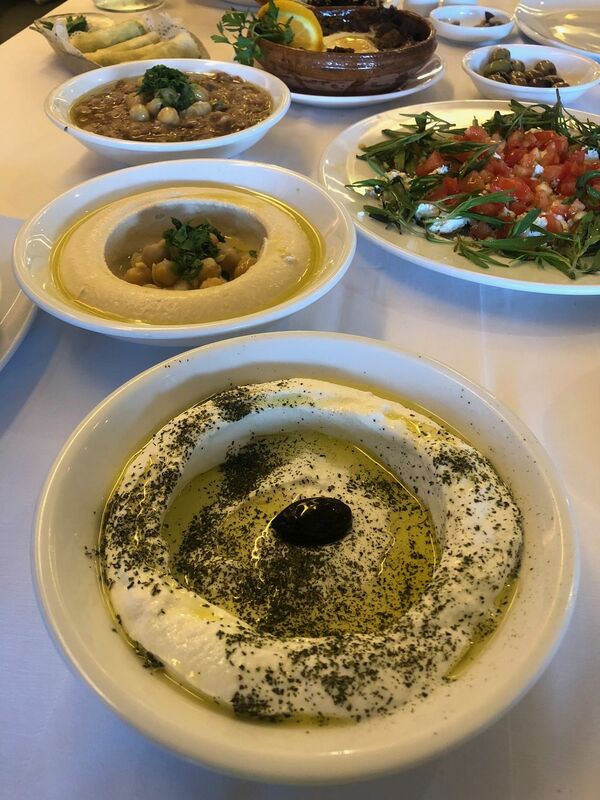 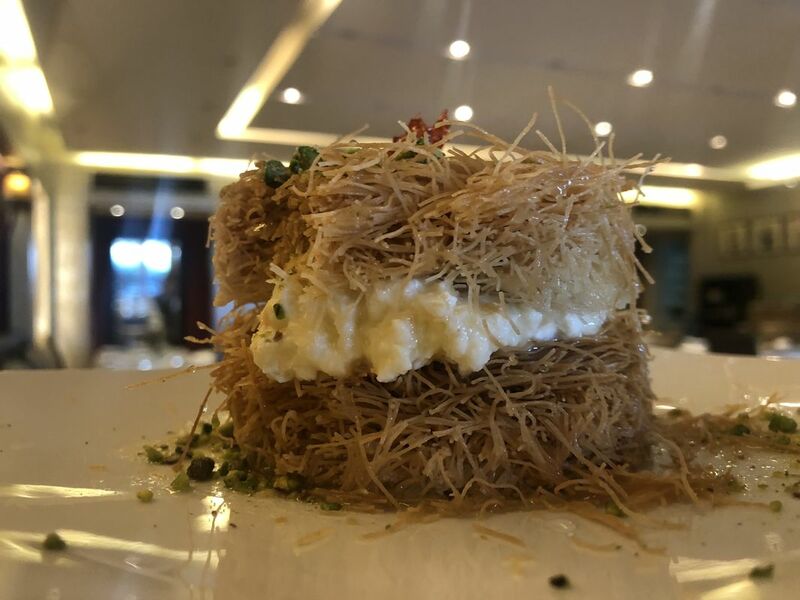 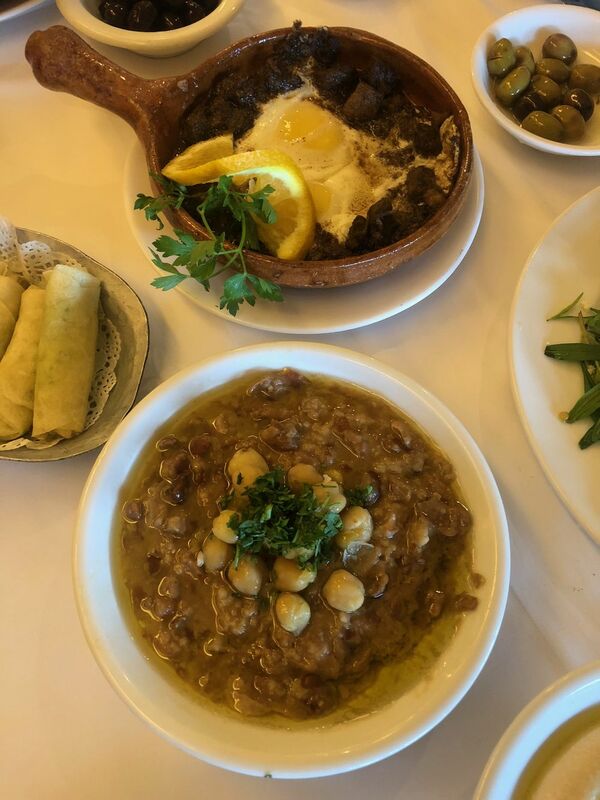 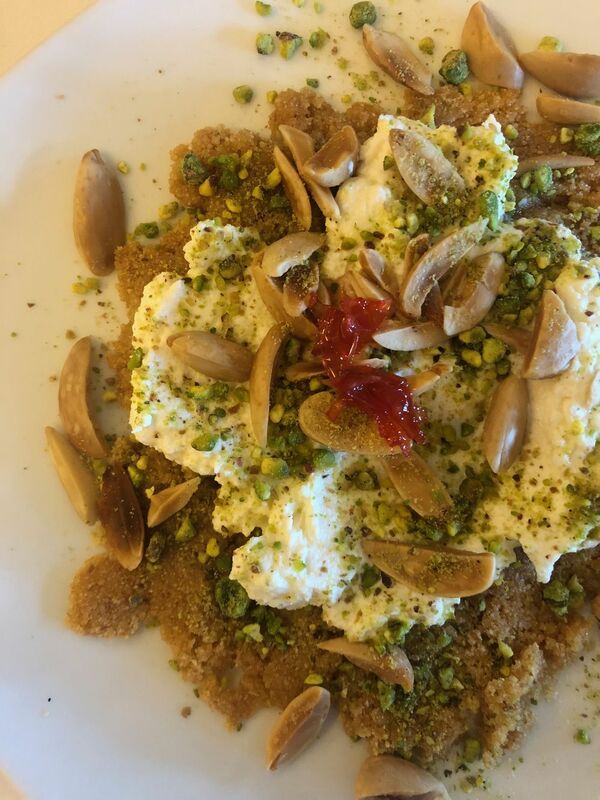 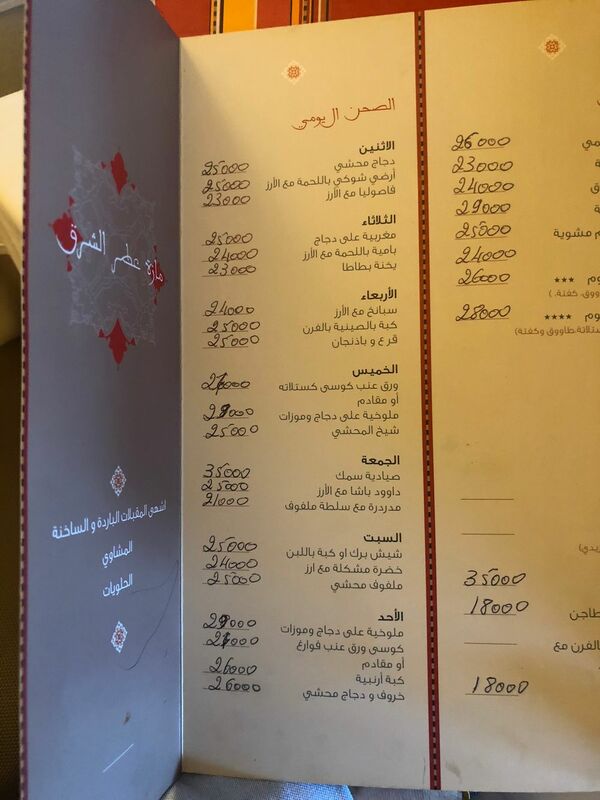 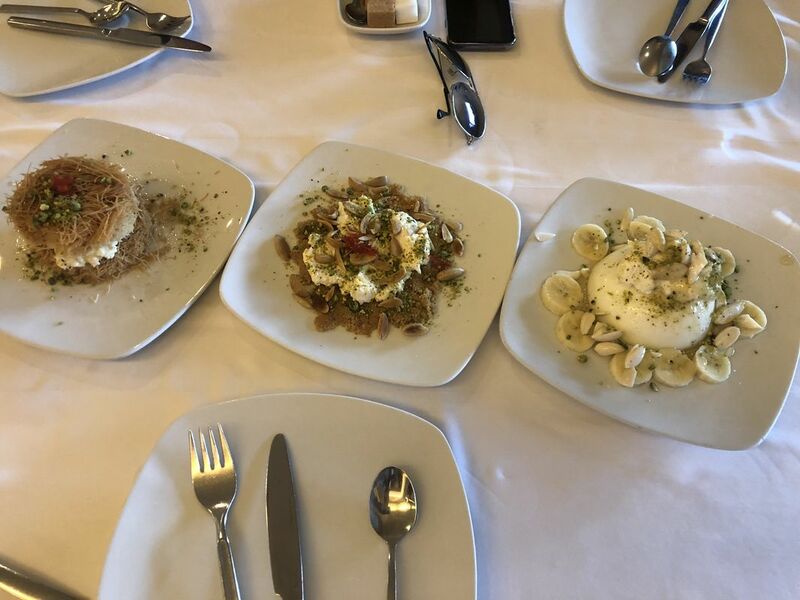 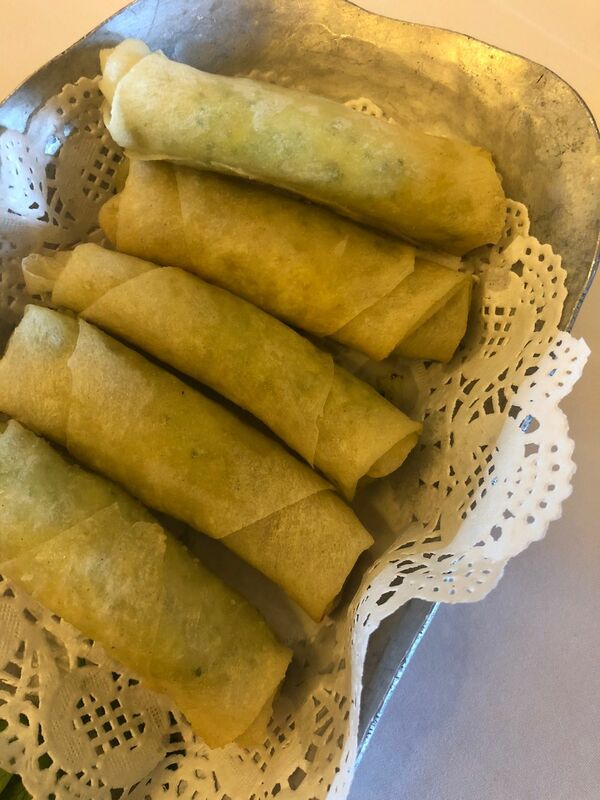 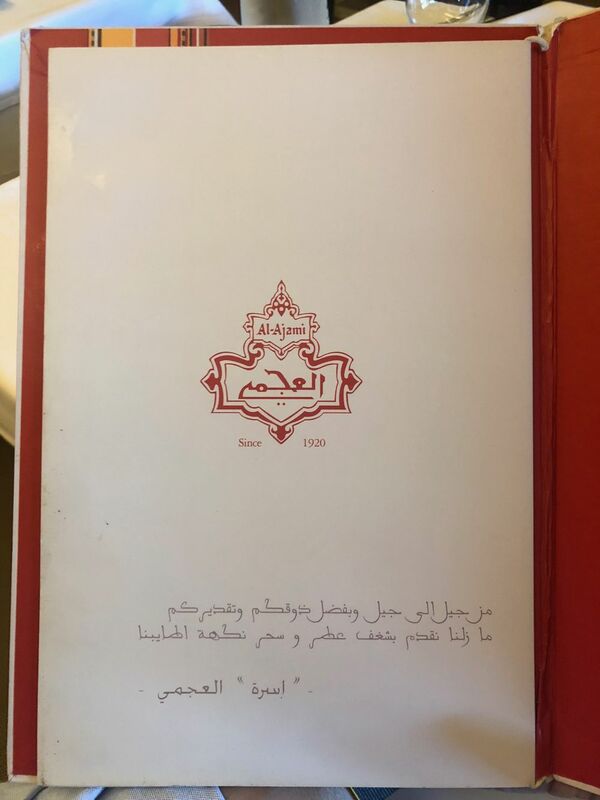 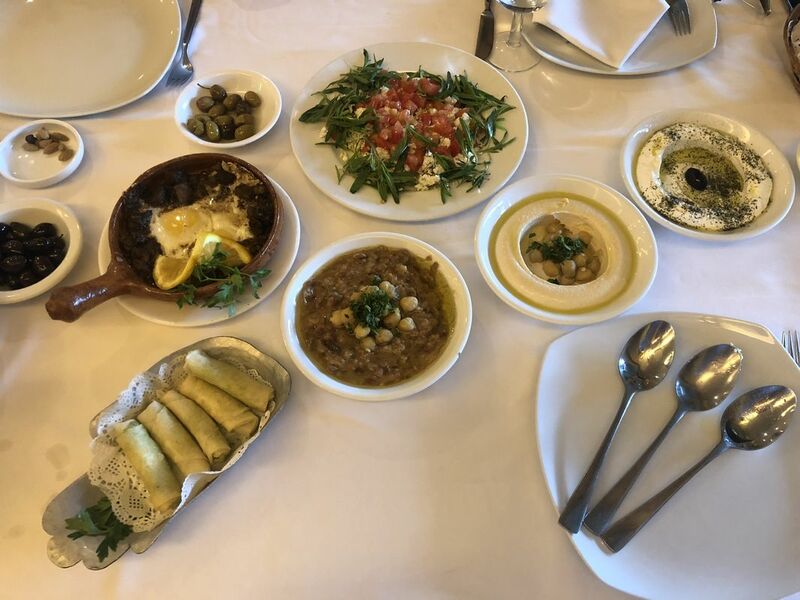 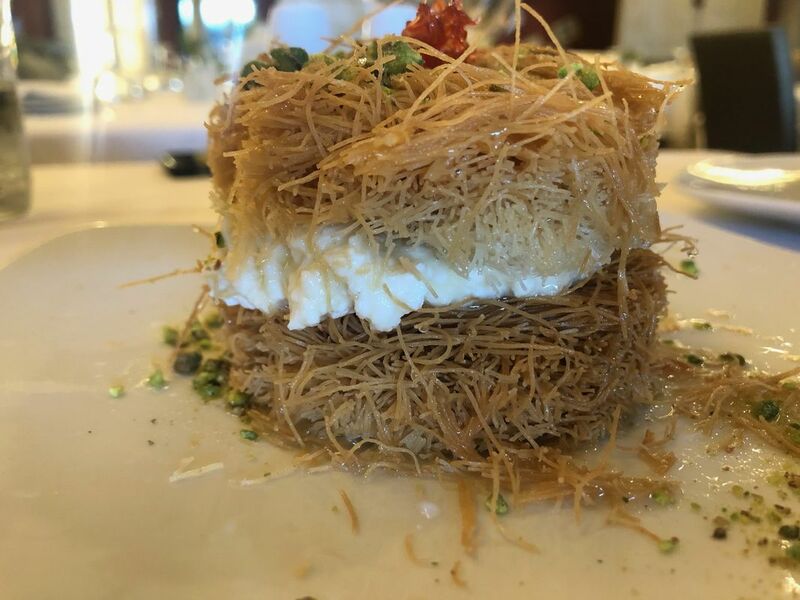 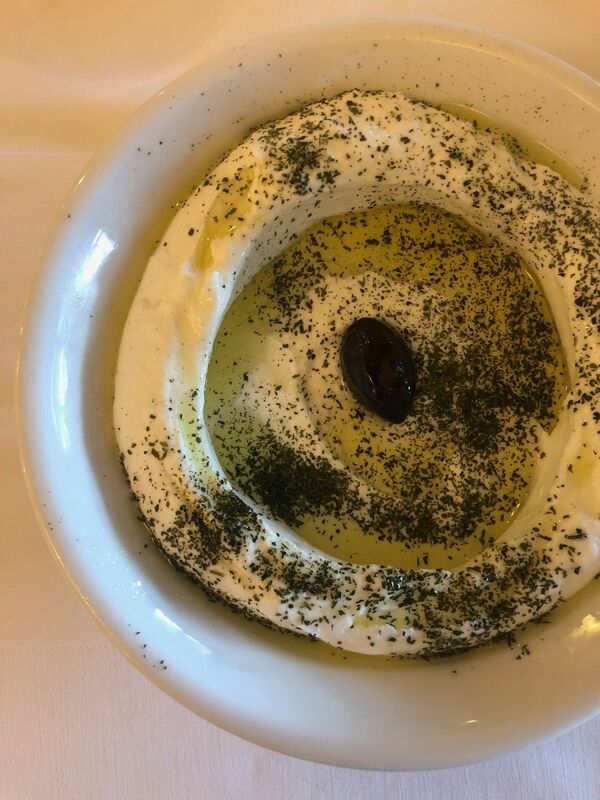 Al Ajami opens for breakfast, lunch, and dinner proposing a selection of authentic Lebanese creations, the same way my grandpa used to enjoy them. 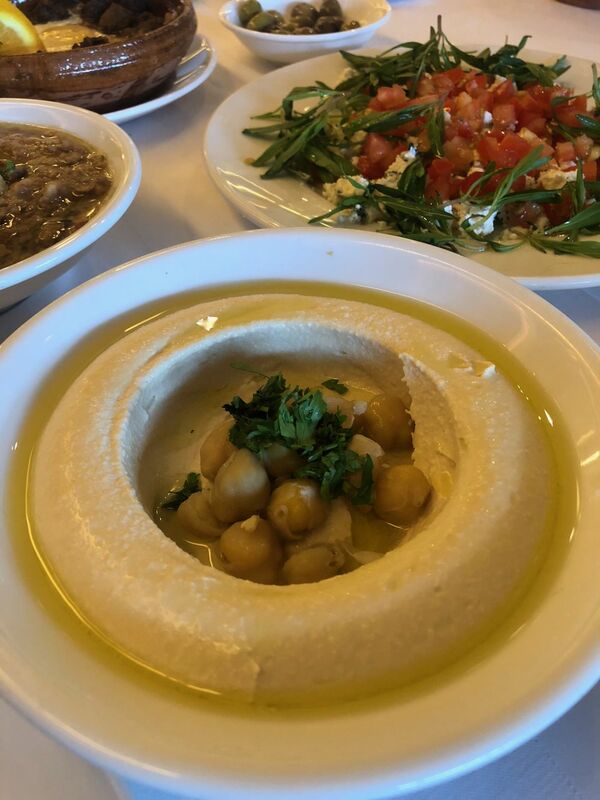 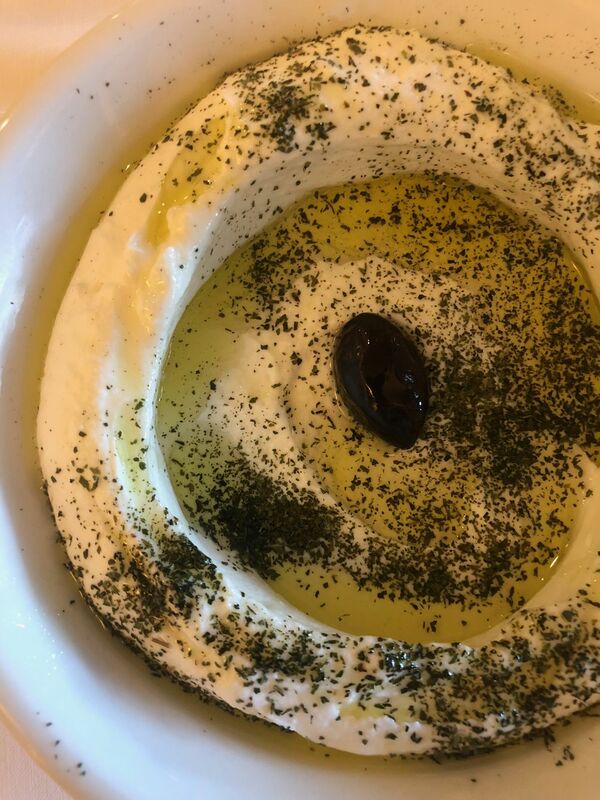 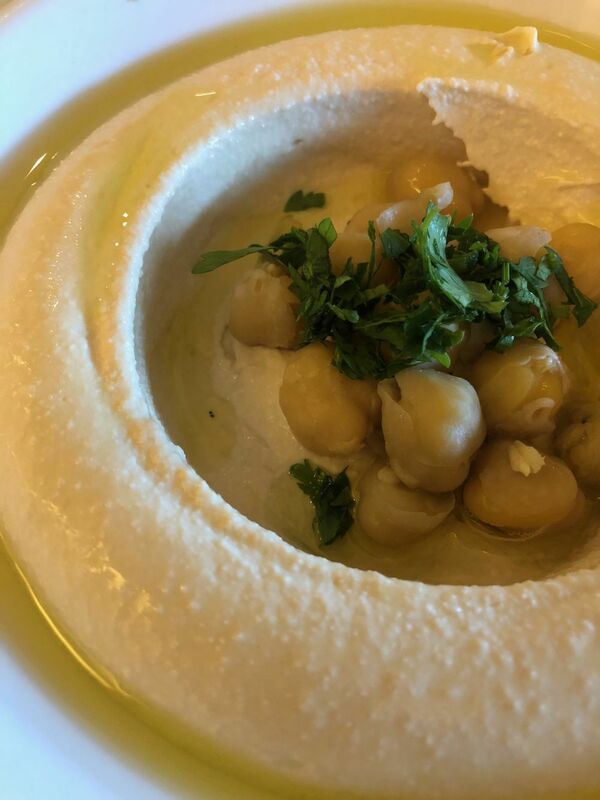 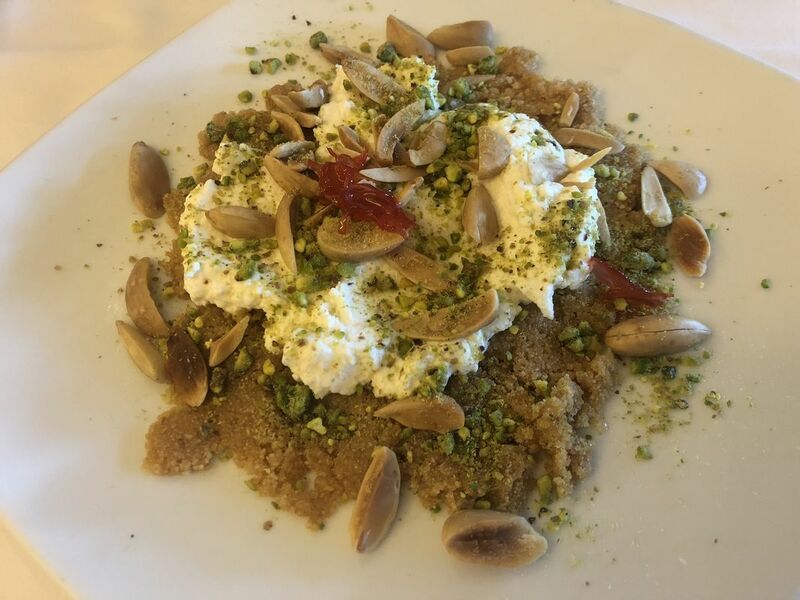 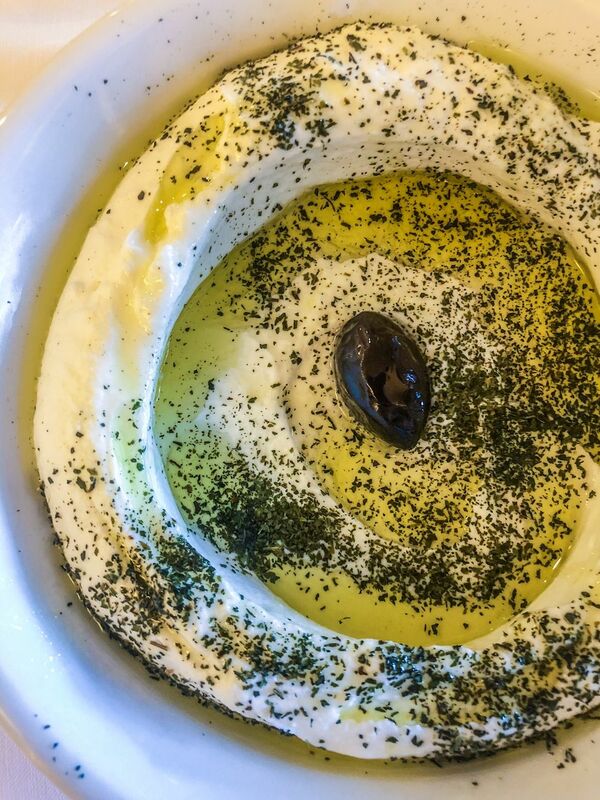 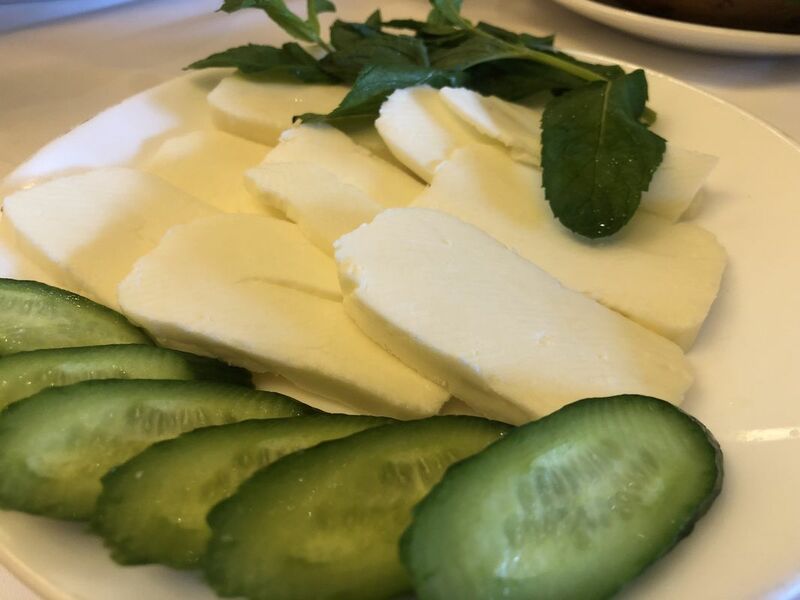 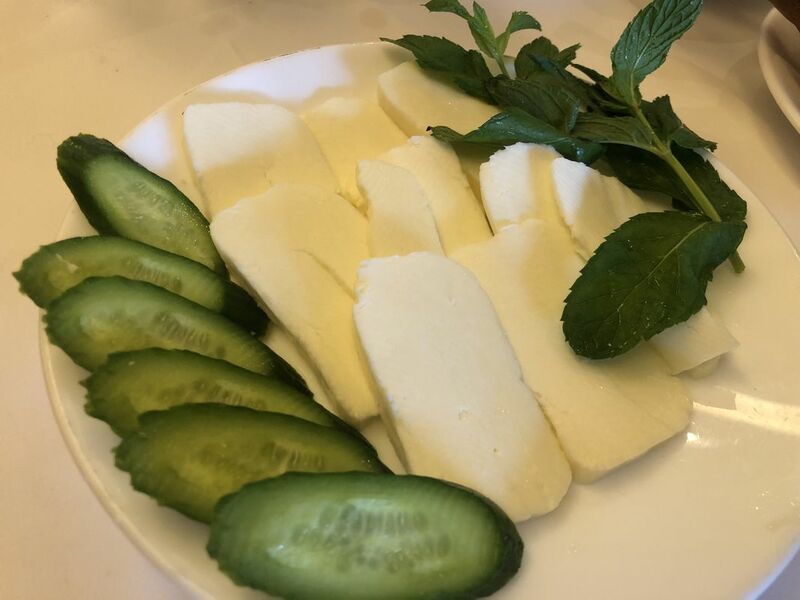 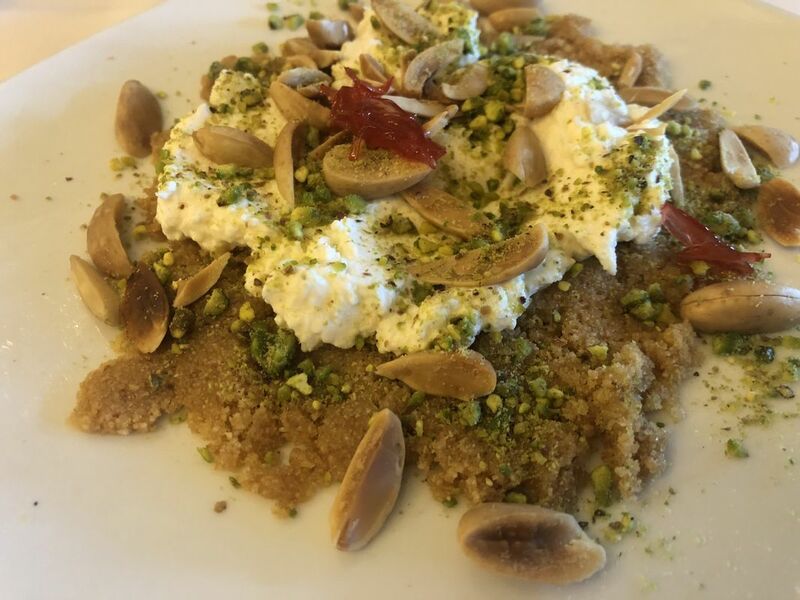 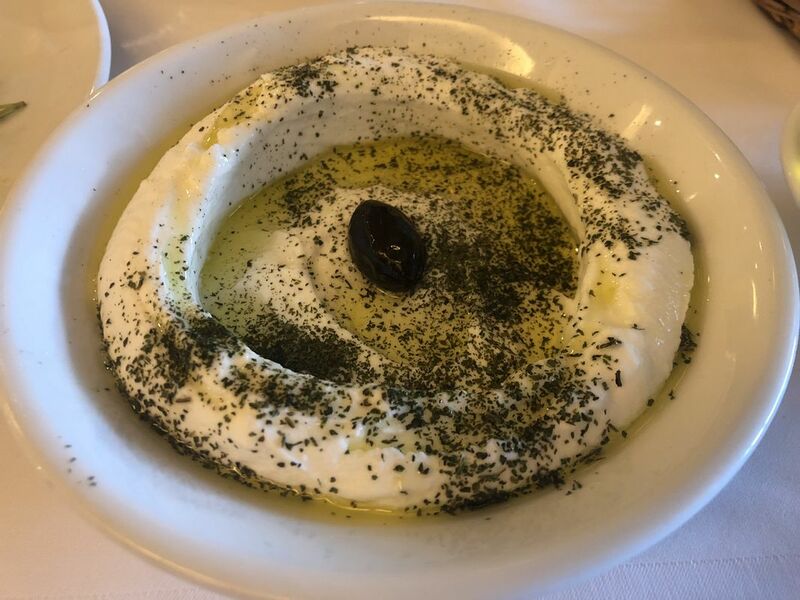 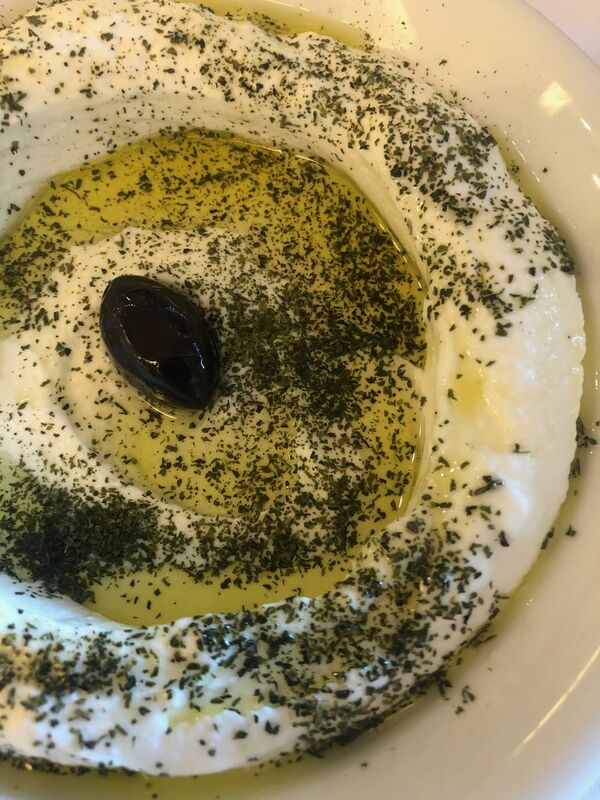 Hummus, Labneh, Fatteh, Mtabbal, meats, daily dishes, and desserts. 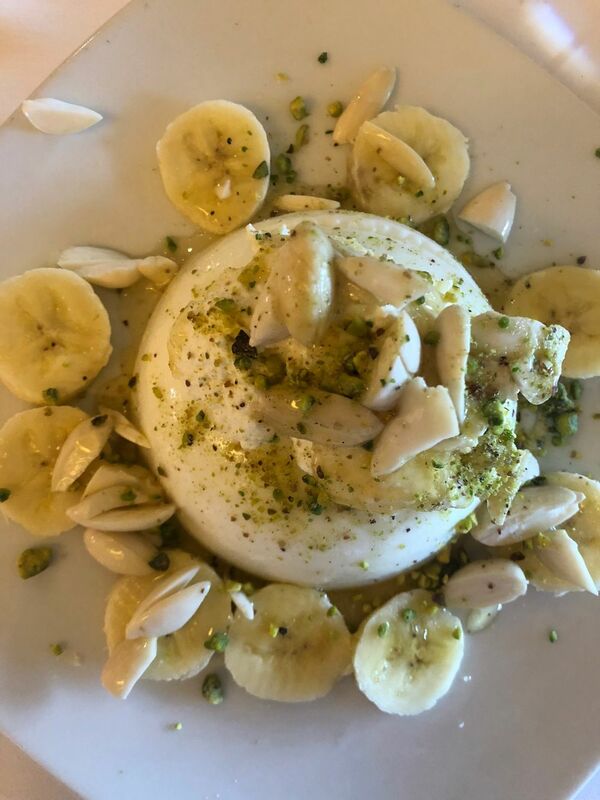 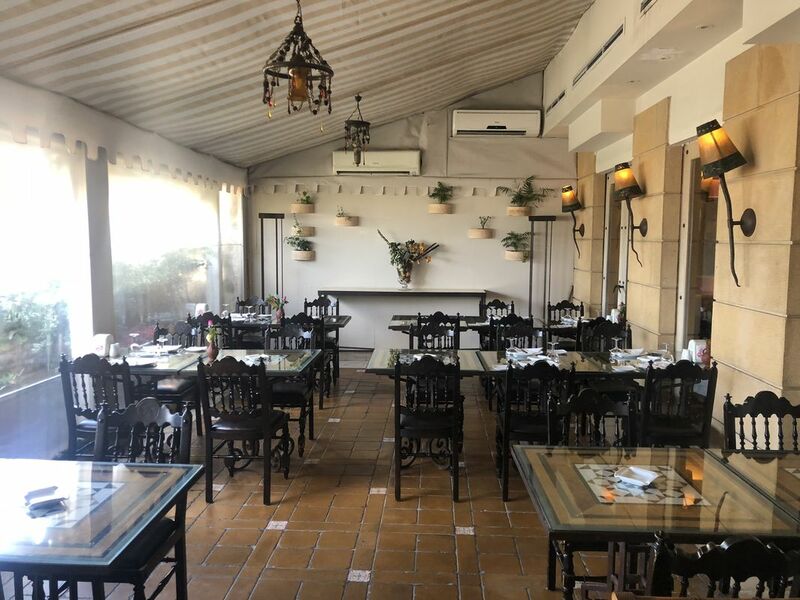 It’s an individual house facing the sandy beach of Ramlet el Bayda, a cozy restaurant divided into three spaces: the Arabic corner, the main dining space, and a closed terrace. 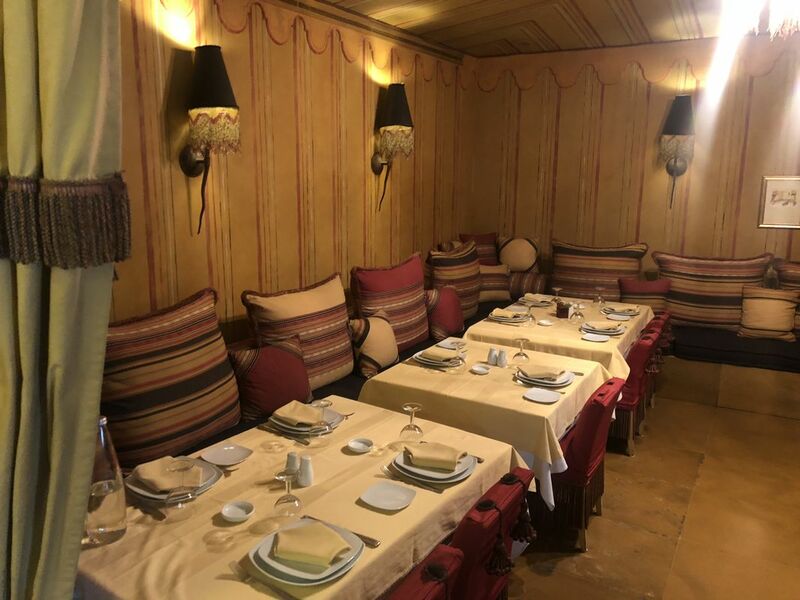 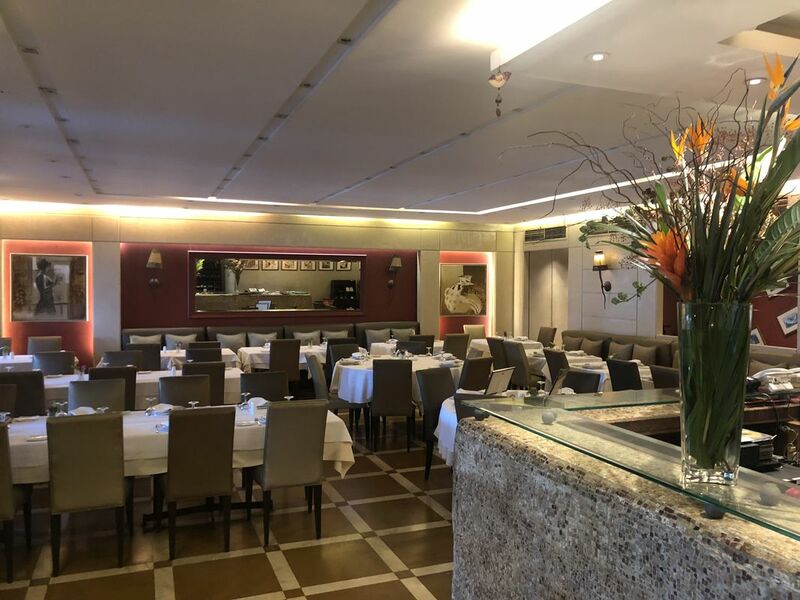 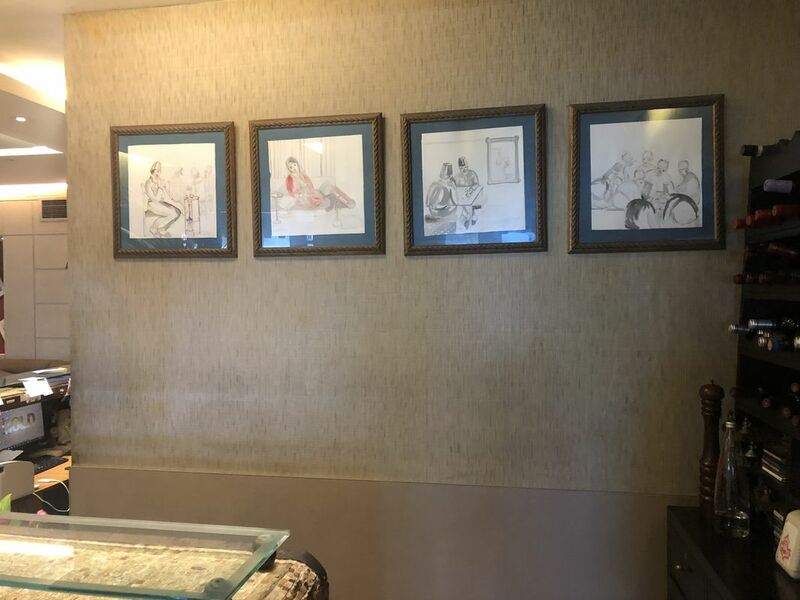 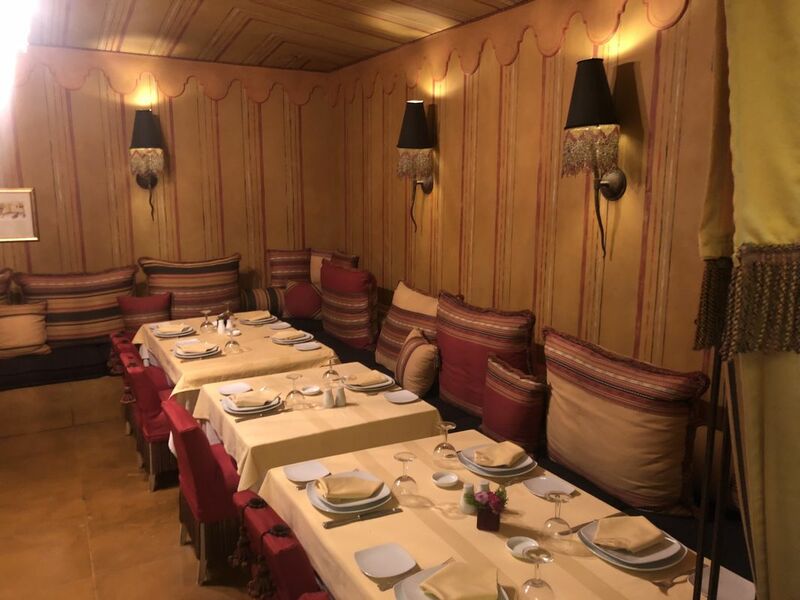 Golden colored leather chairs, tables covered with fine fabrics, Lebanese tiles, dimmed lights with decorative frames taking over the restaurant’s walls. 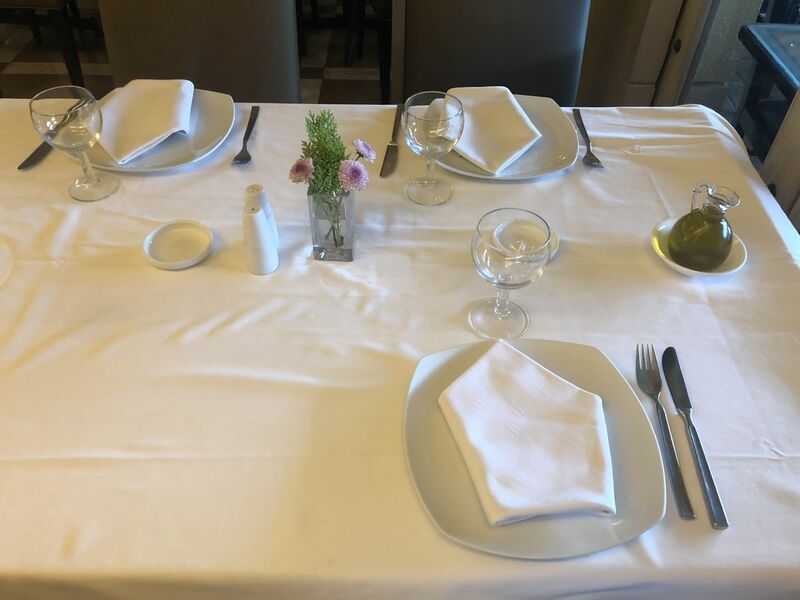 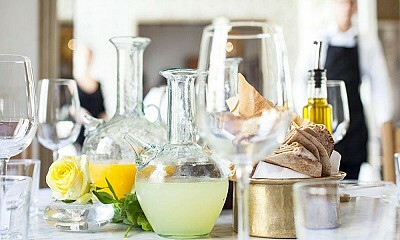 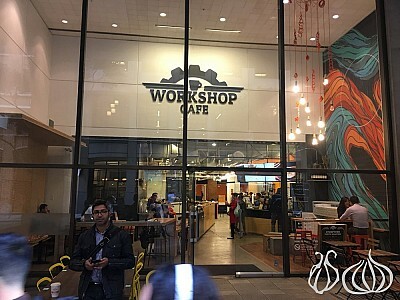 Simple and classy, the restaurant has nothing fancy about it, and you don’t even expect more. 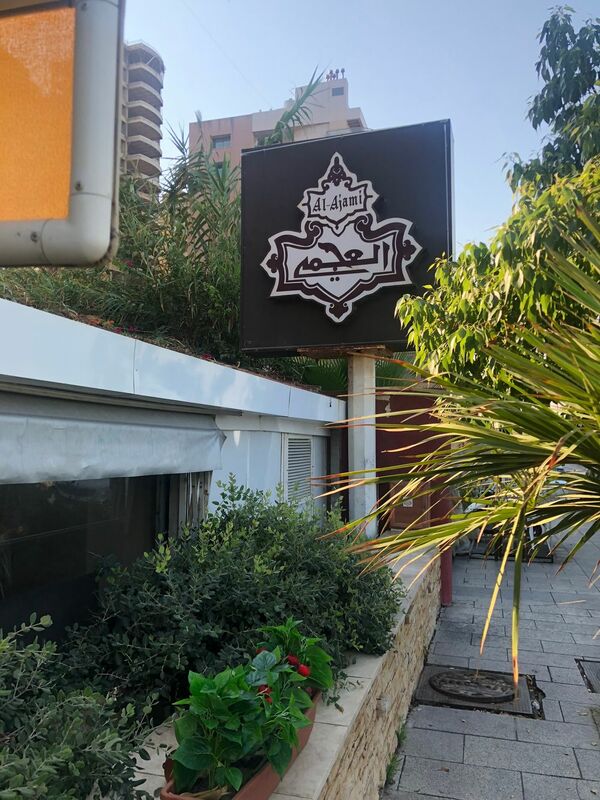 I’ve heard a lot about this place, excited to try its food and service. 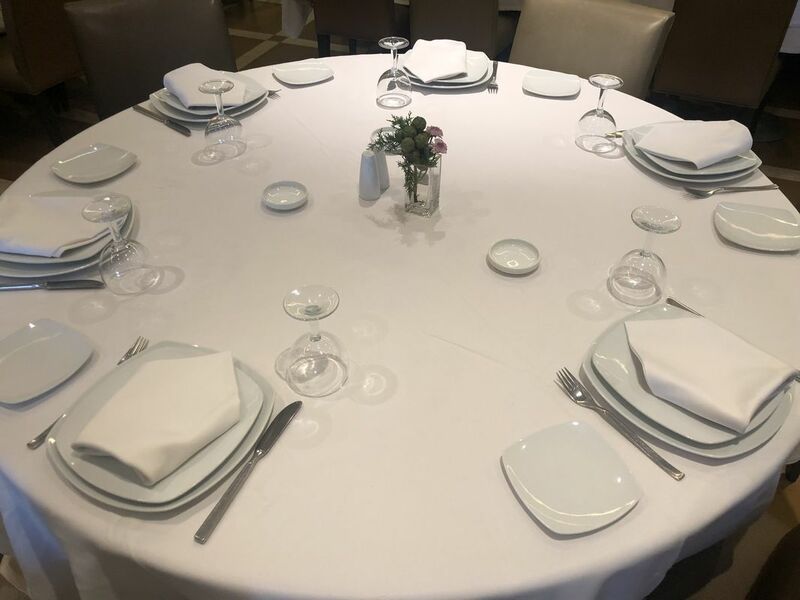 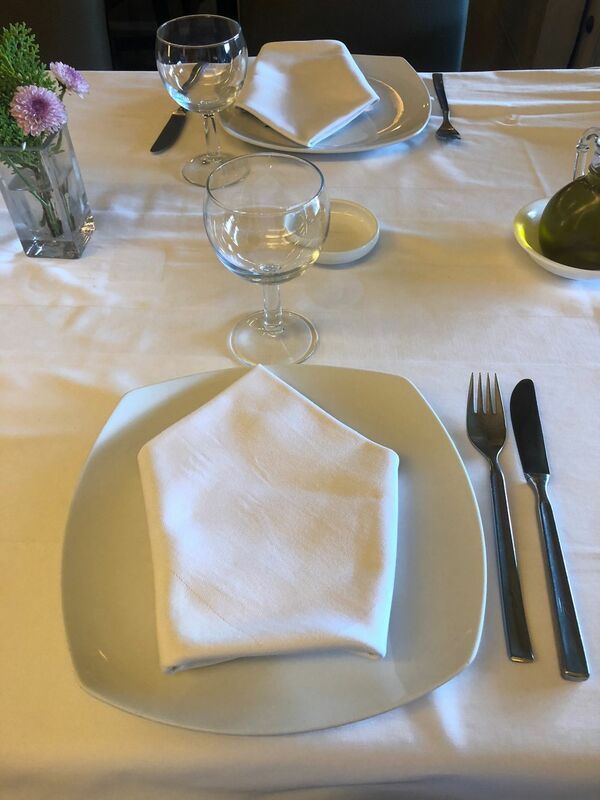 You are welcomed by a professional maître d’hôtel who has been serving guests for the last thirty years. 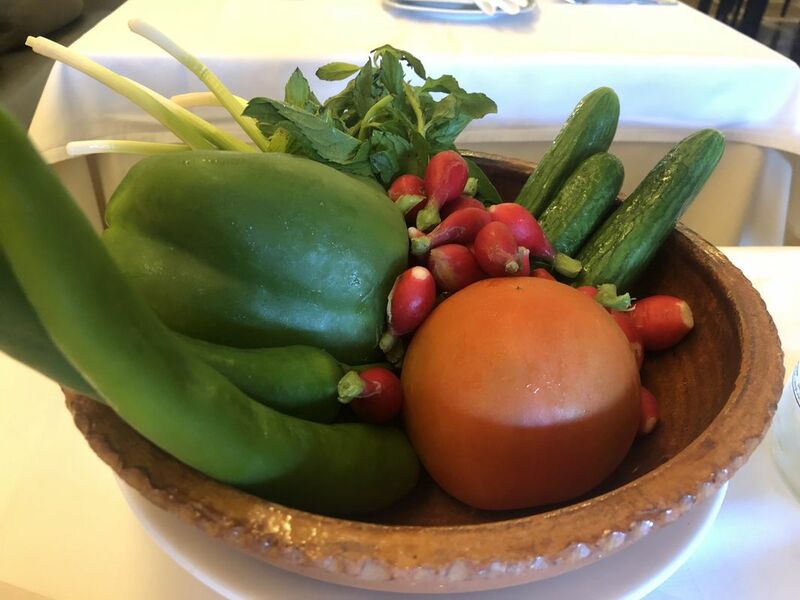 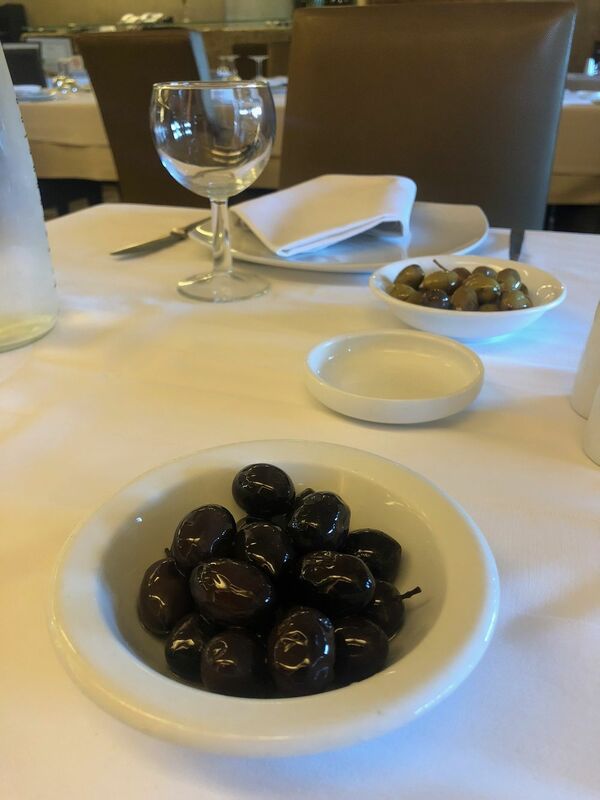 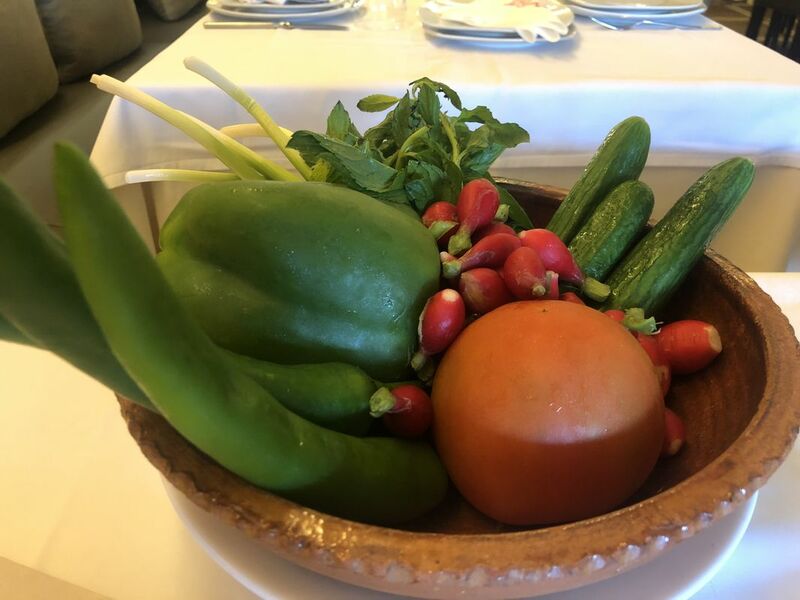 The table is set, a clay pot of fresh vegetables, green and black olives, a Lebanese bread basket and olive oil. 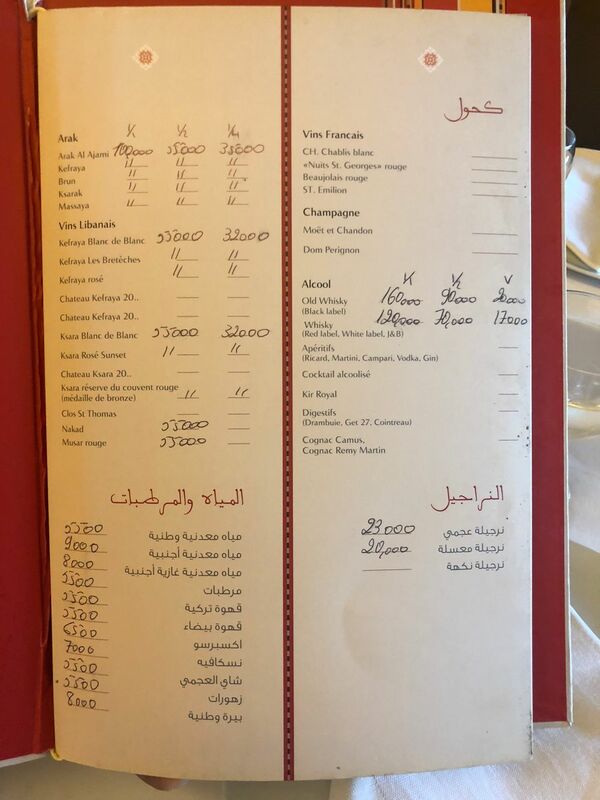 I was ready to order. 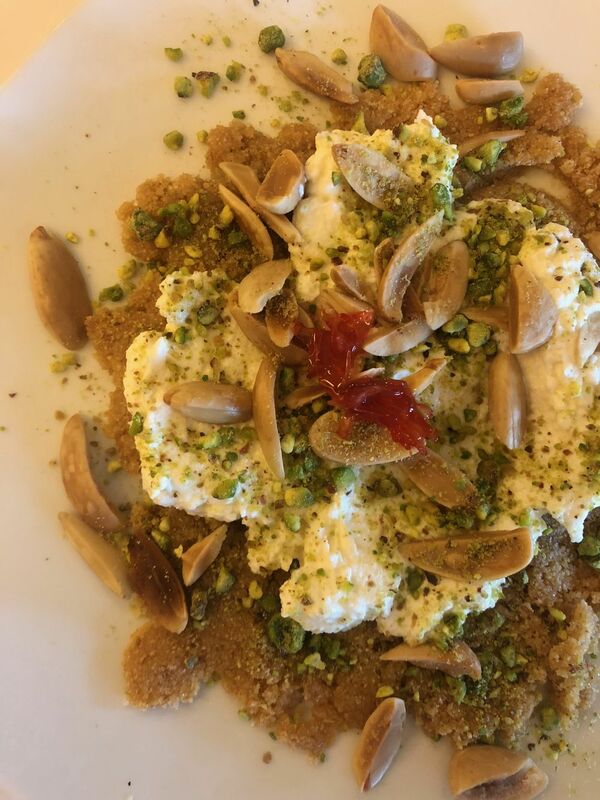 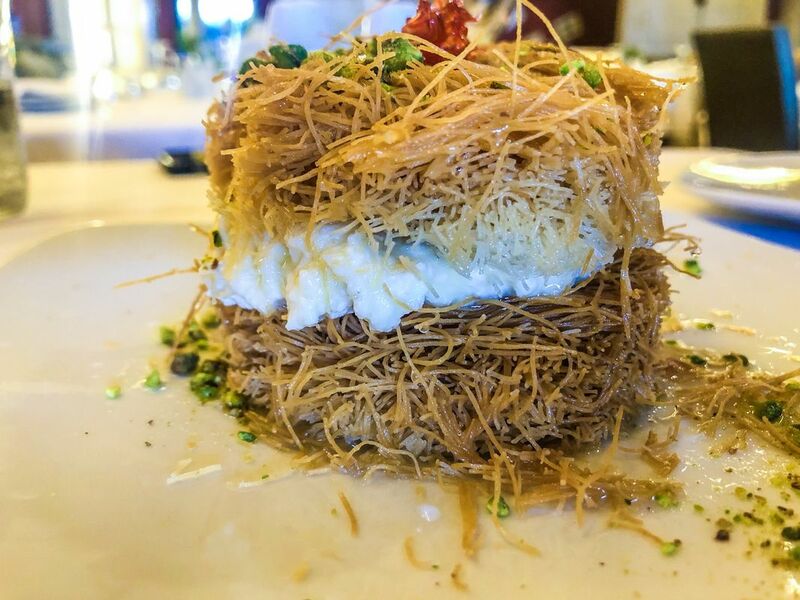 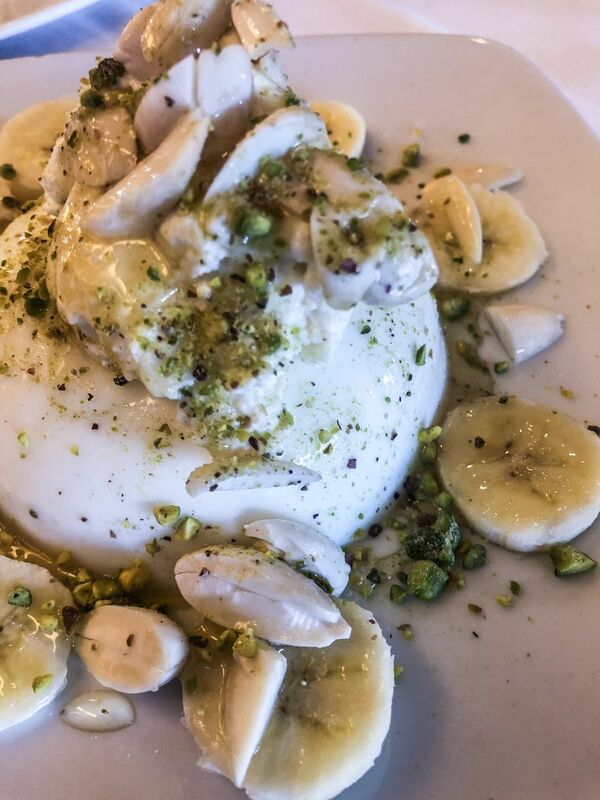 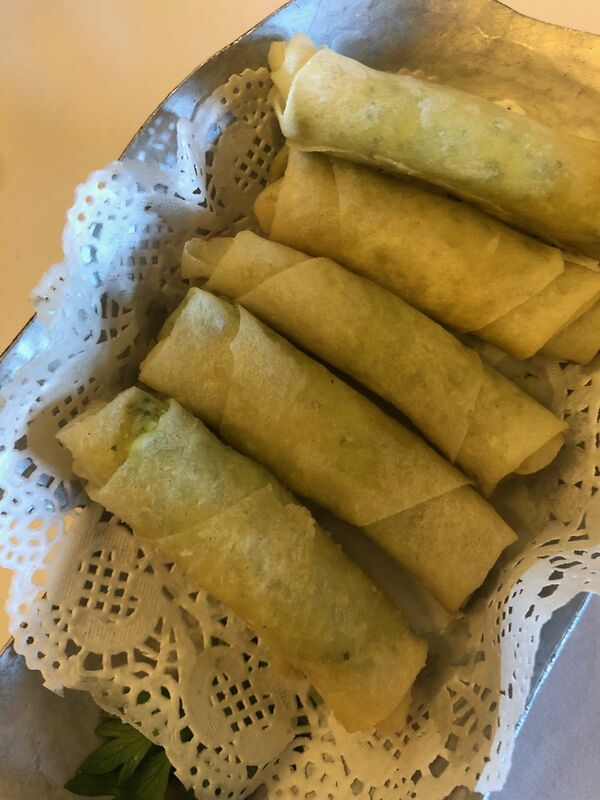 The taste of simplicity is what describes Al Ajami. 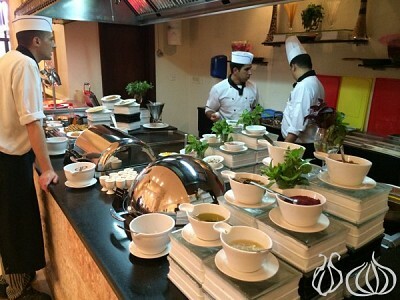 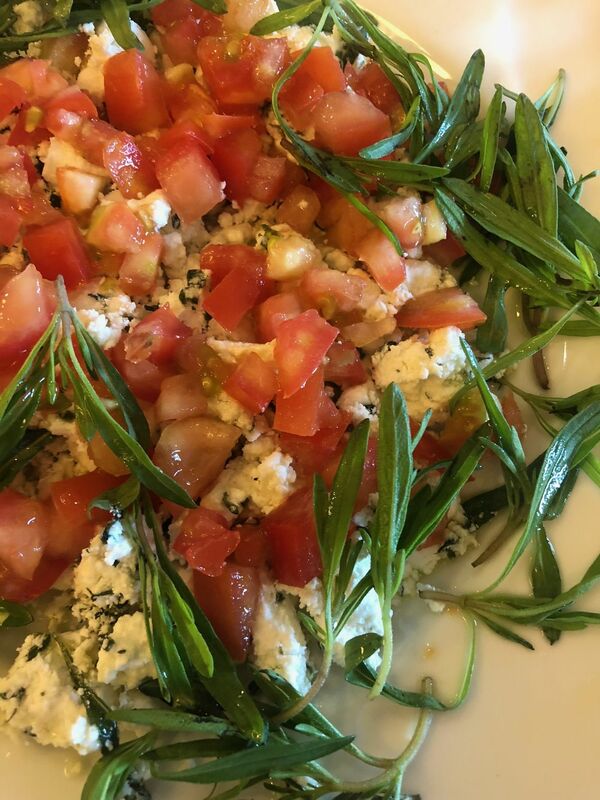 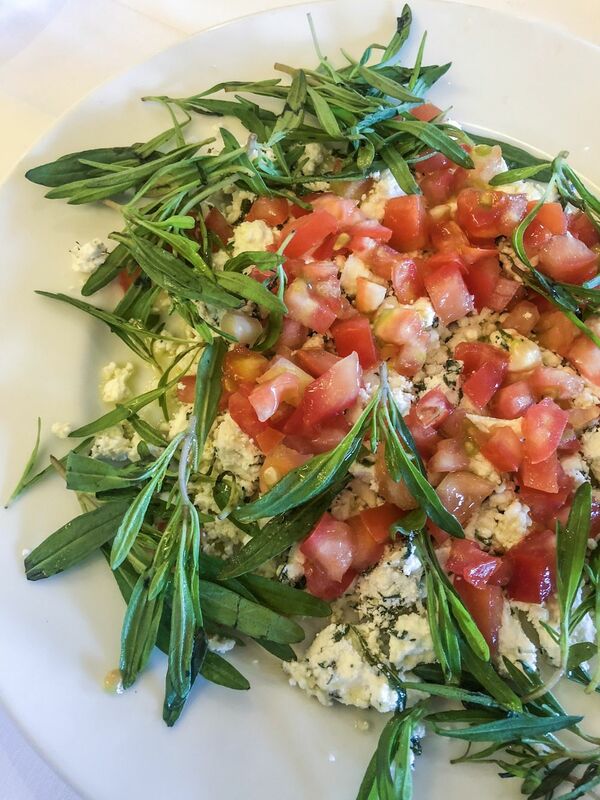 Flavors of simple things prepared casually and served simply. 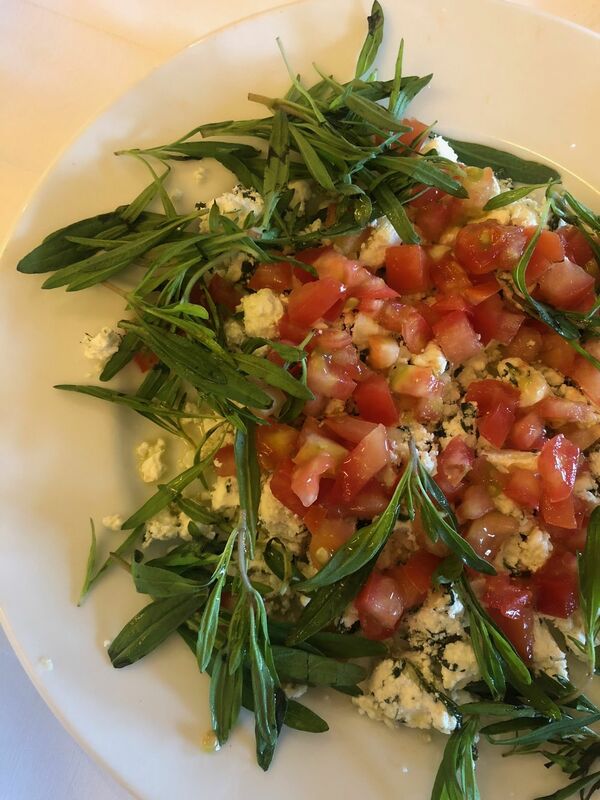 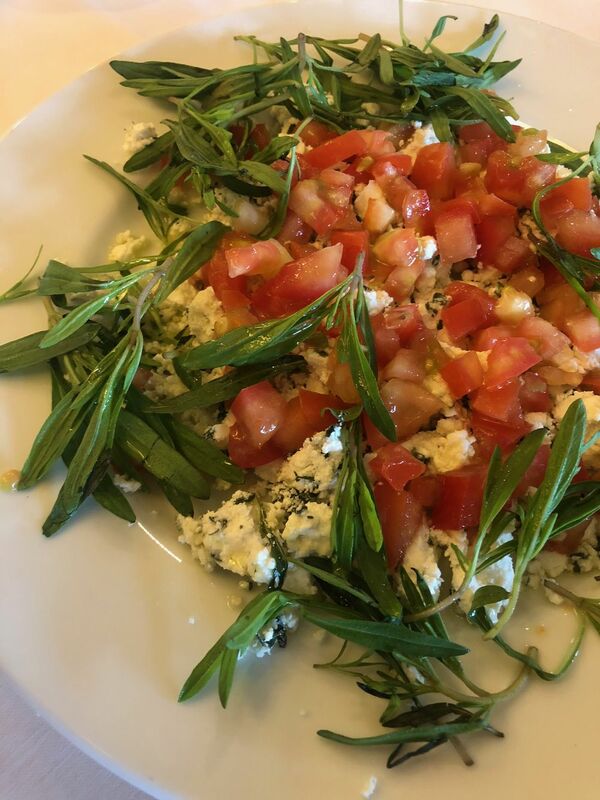 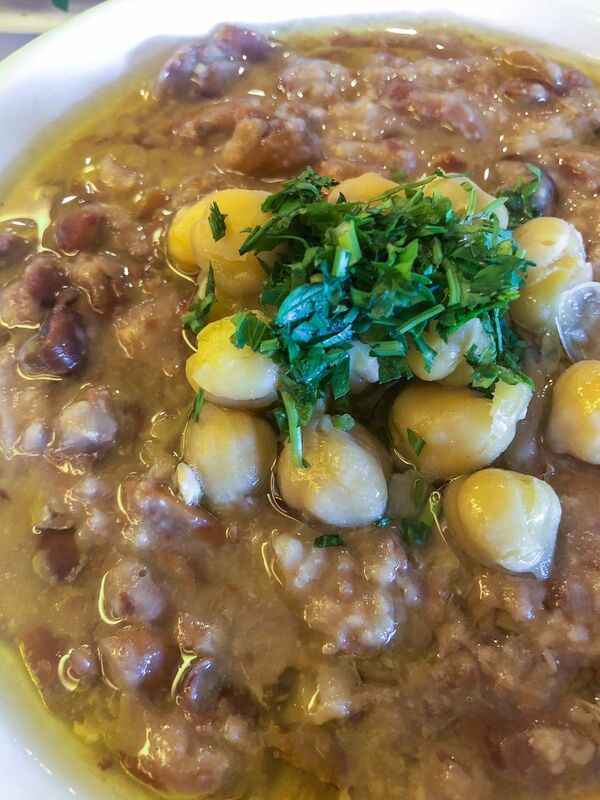 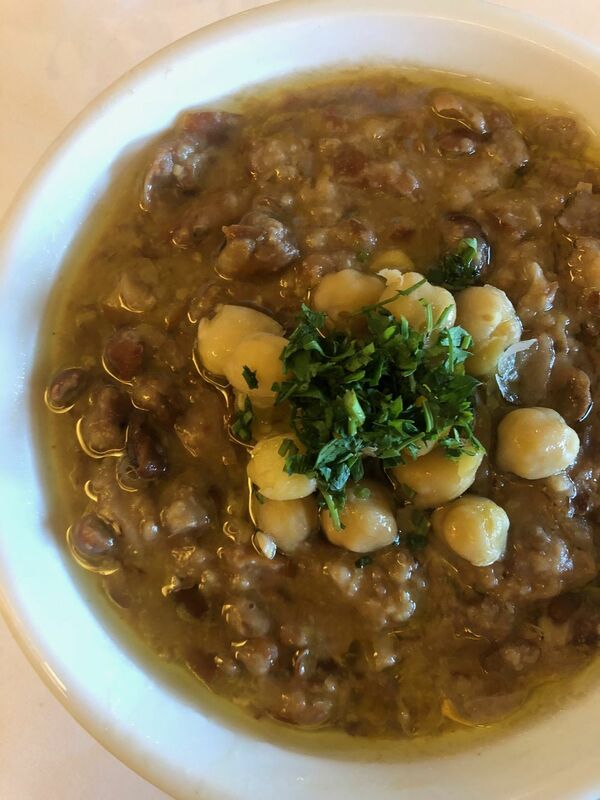 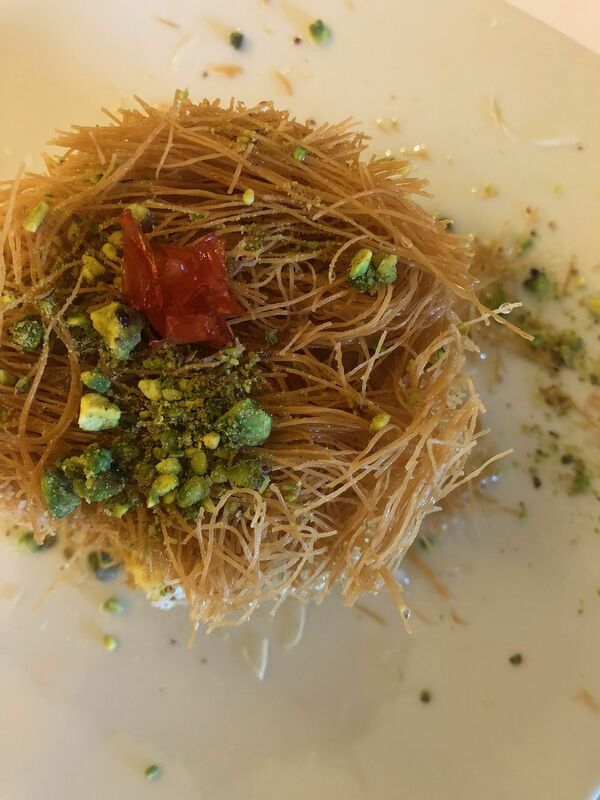 Al Ajami has been cooking with love the normal way our grandparents taught us to do. 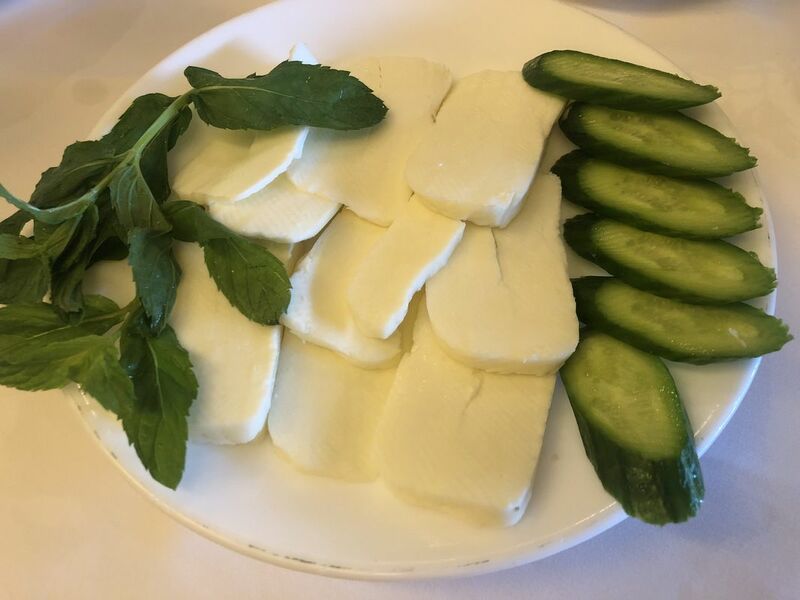 Labneh, hummus, Foul, mtabbal, fresh halloumi with cucumbers, cheese rolls with mint and Bulgaria cheese with tomatoes. 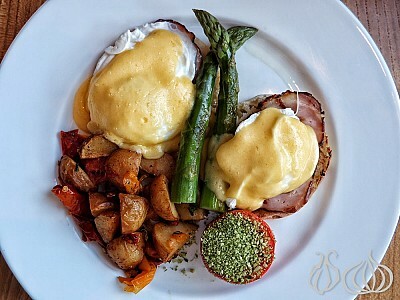 I enjoyed my breakfast accompanied by a glass of tea, dipping into these plates one after the next. 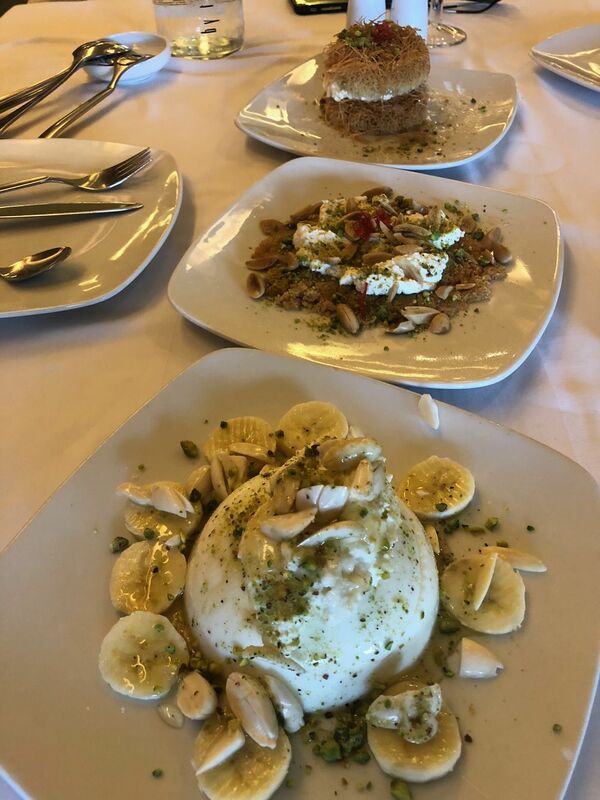 Lunch ended with a selection of three desserts I would remember for long. 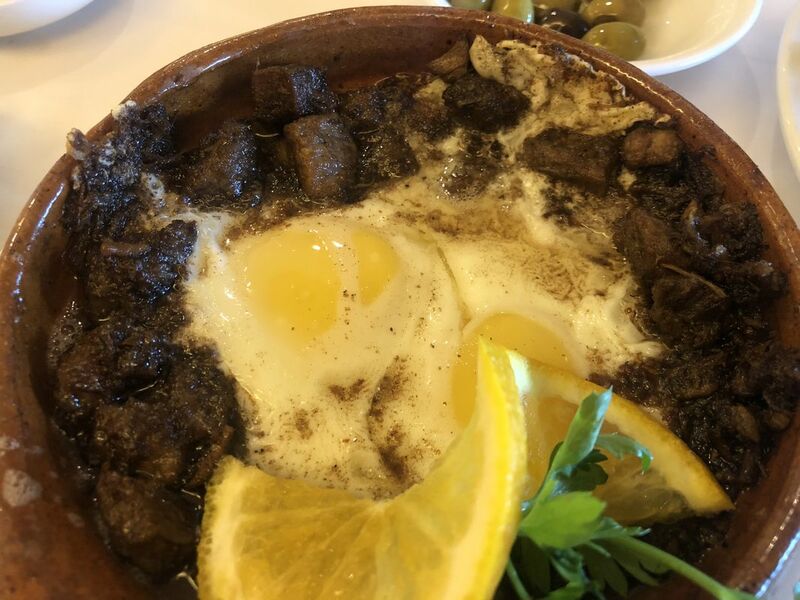 Being a fan of mouhallabiyah, I can safely say that this is one of the best. 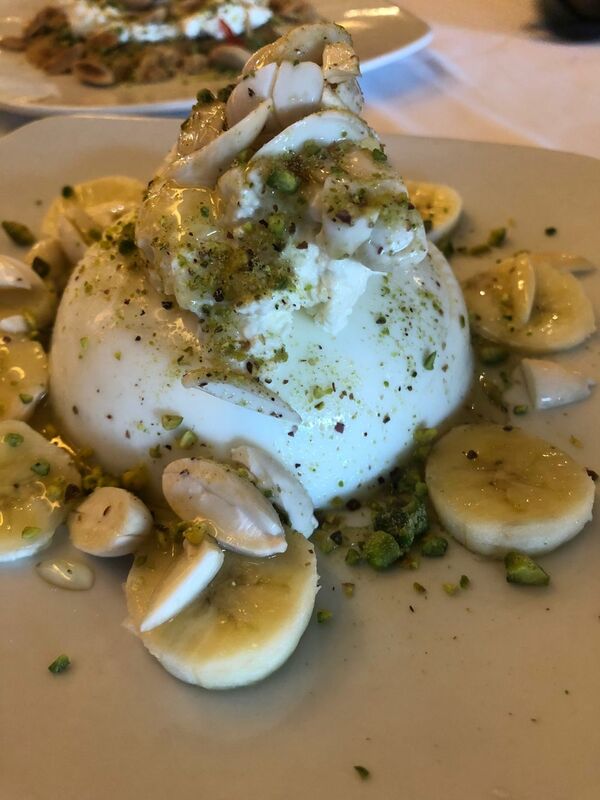 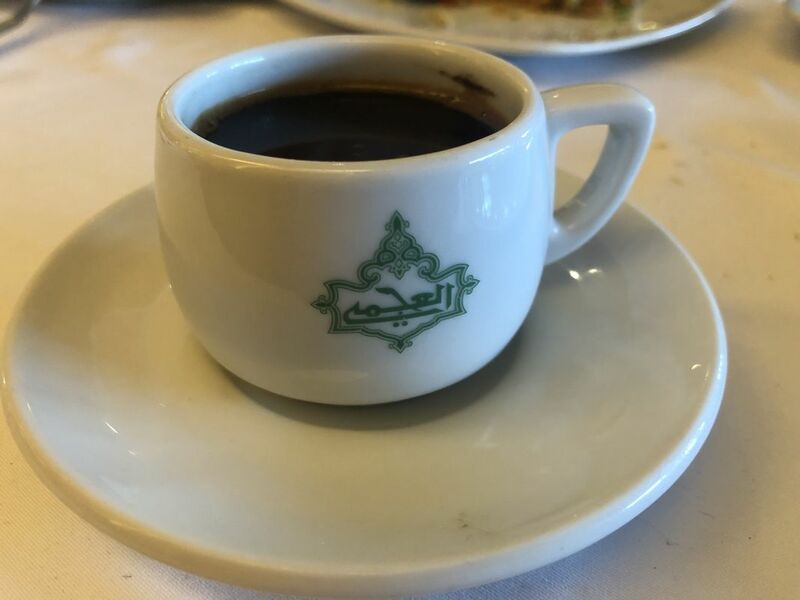 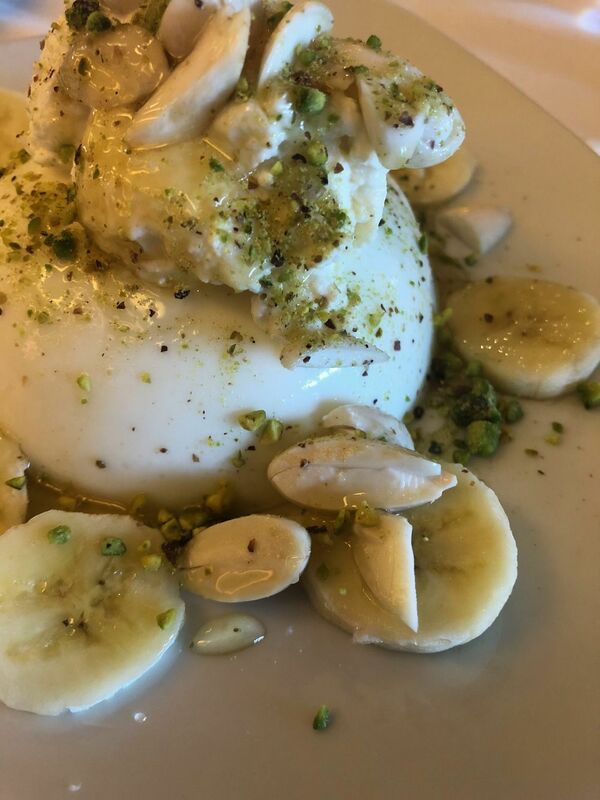 A firm mouhallabiyah with a balanced sweetness. 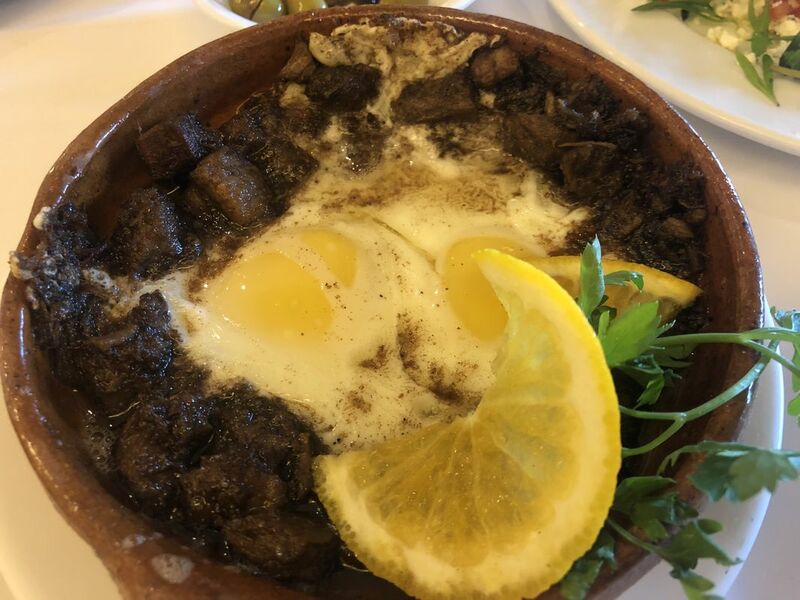 The taste of milk empowered by the passion this mouhallabiyah has been cooked with. 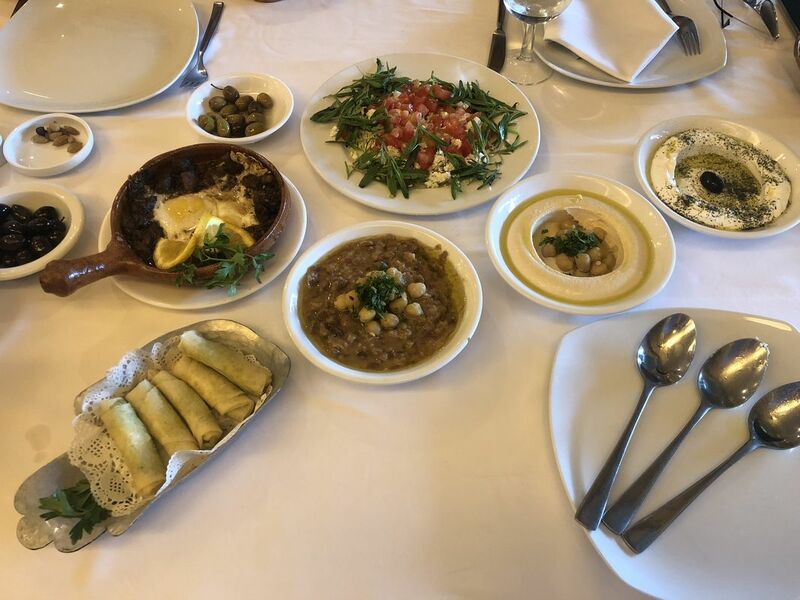 I enjoyed breakfast and most importantly Mr. Jean, a professional person I’ll come back for; I promise to have lunch at Al Ajami soon and try their tasty Lebanese flavors.